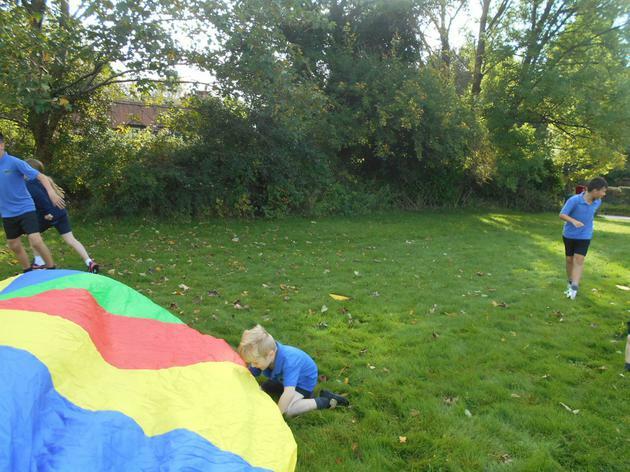 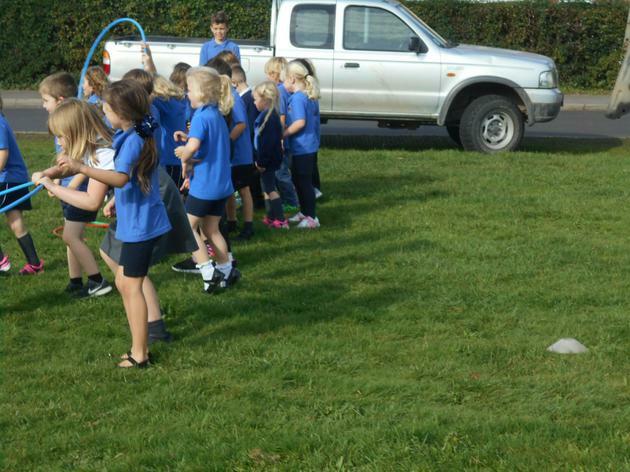 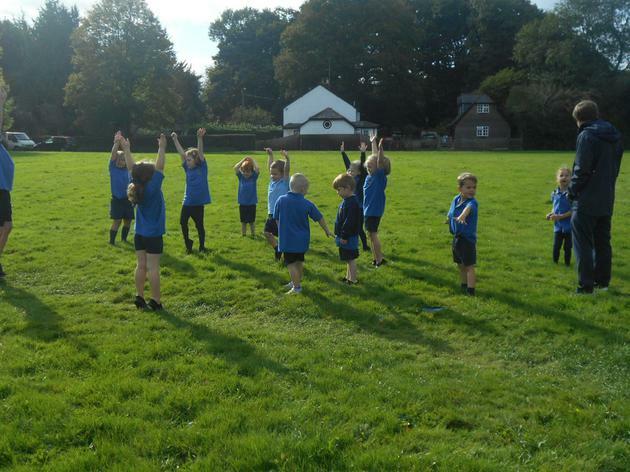 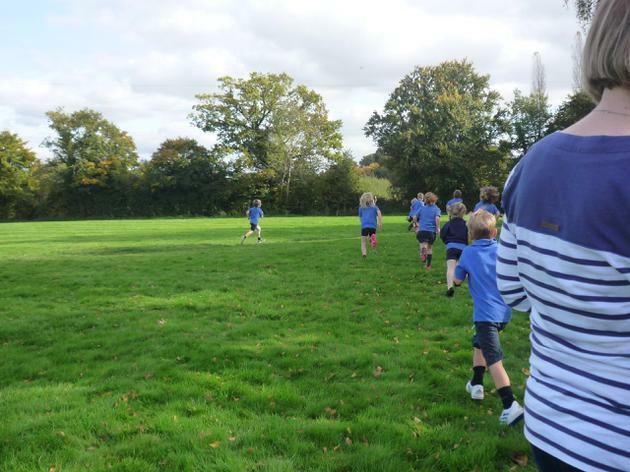 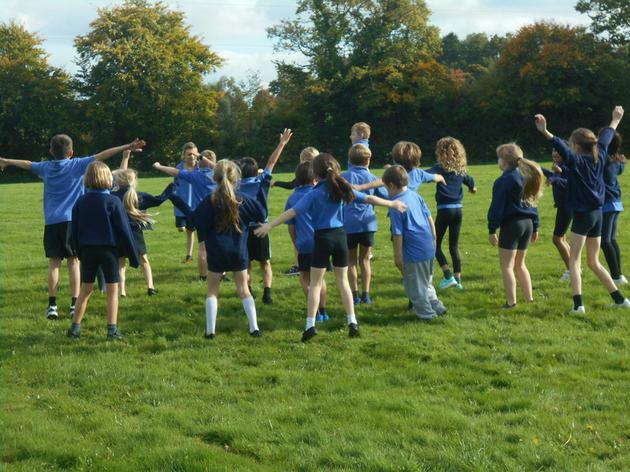 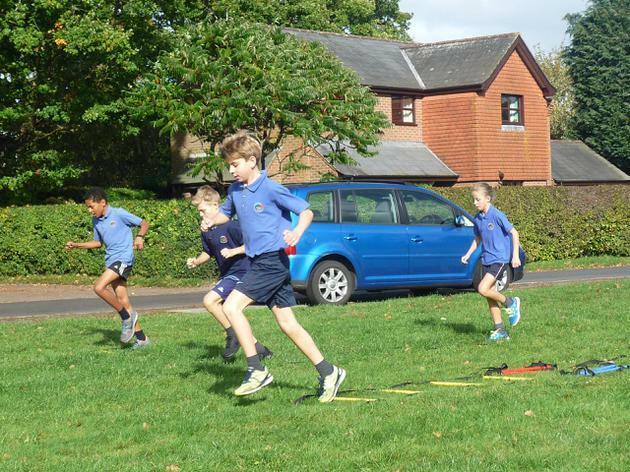 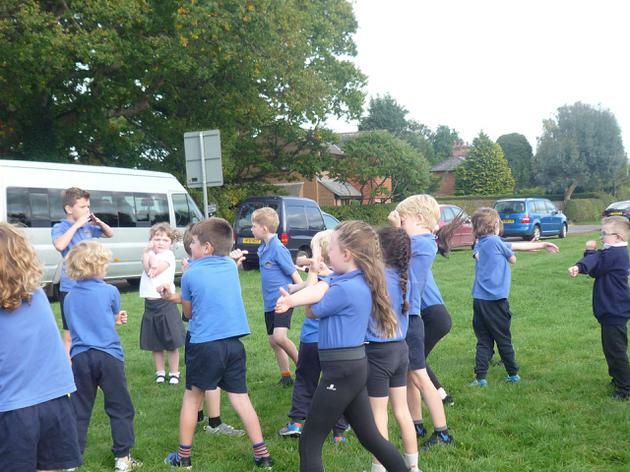 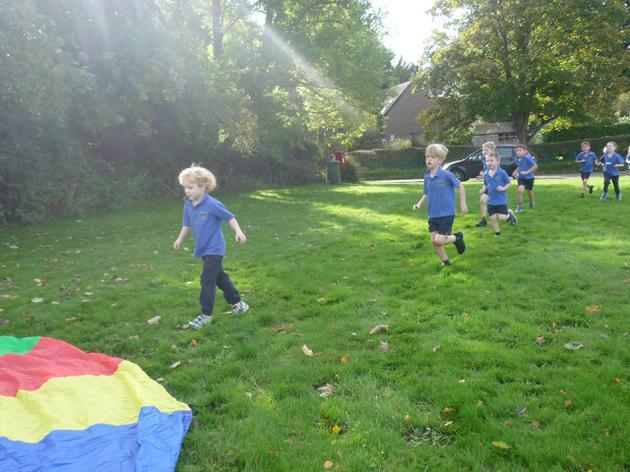 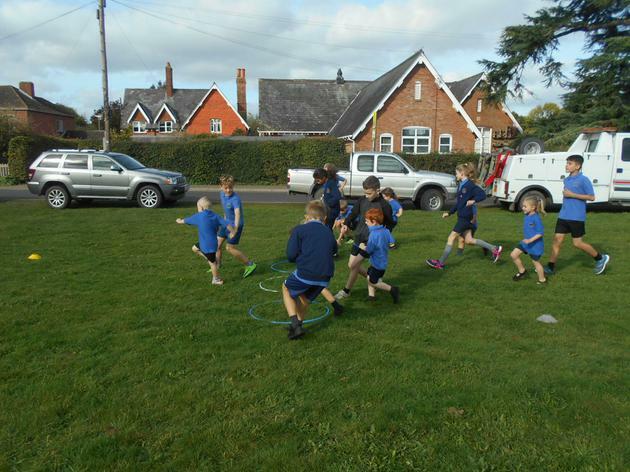 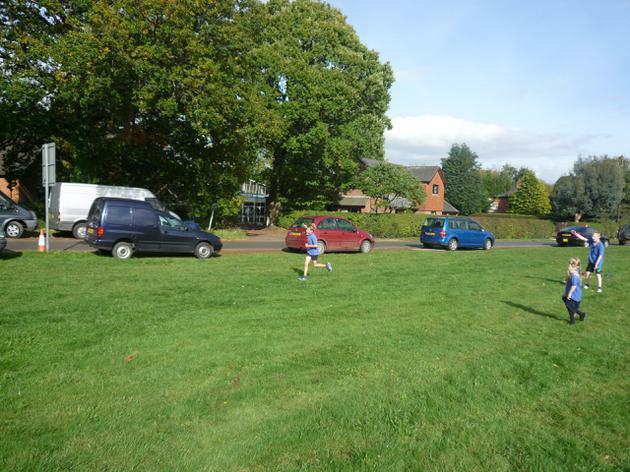 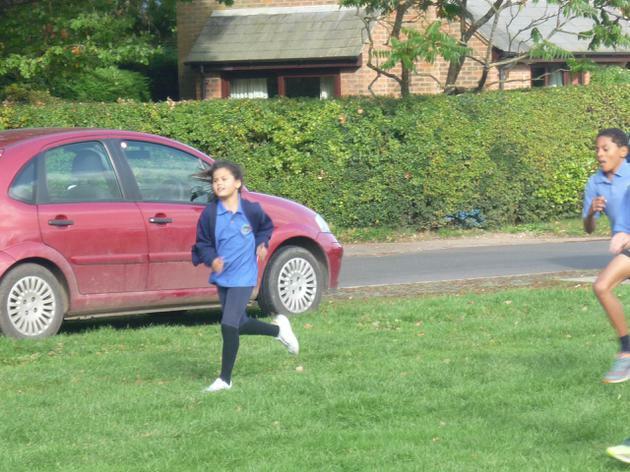 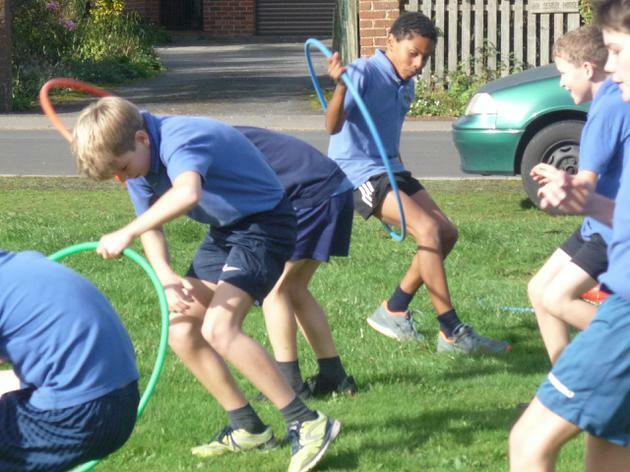 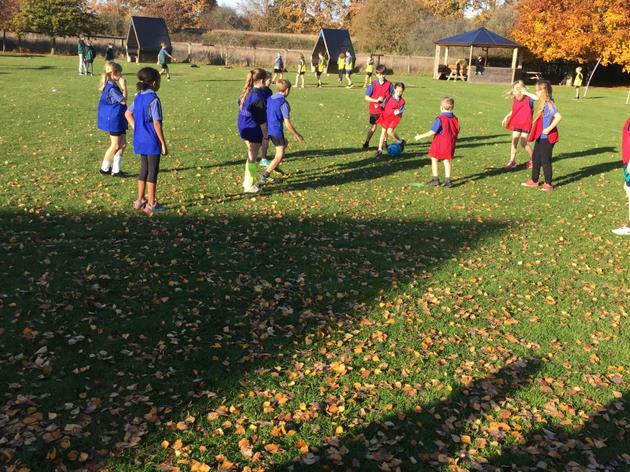 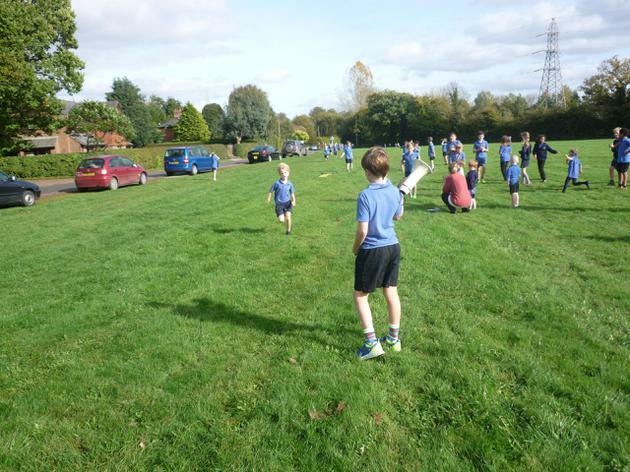 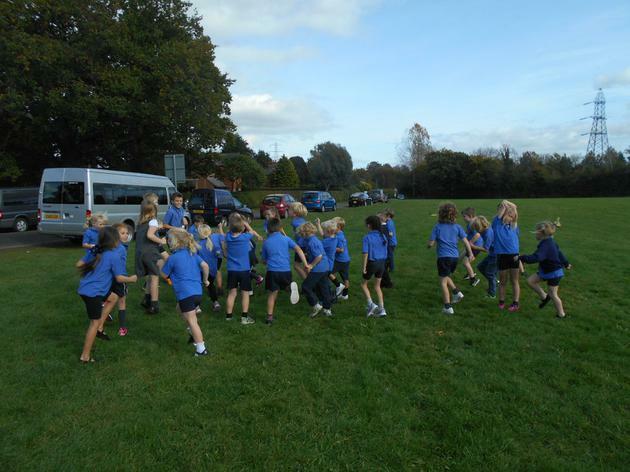 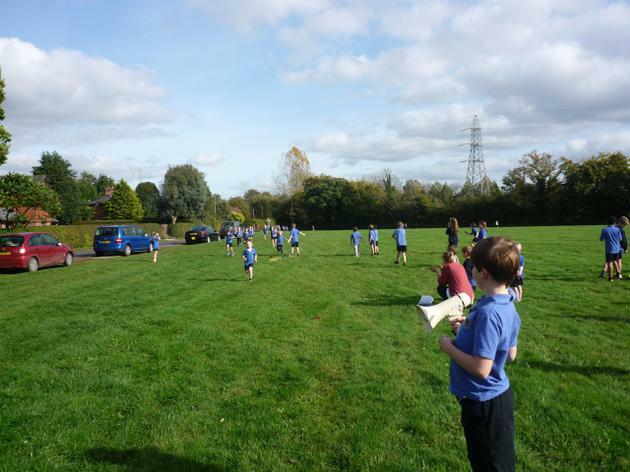 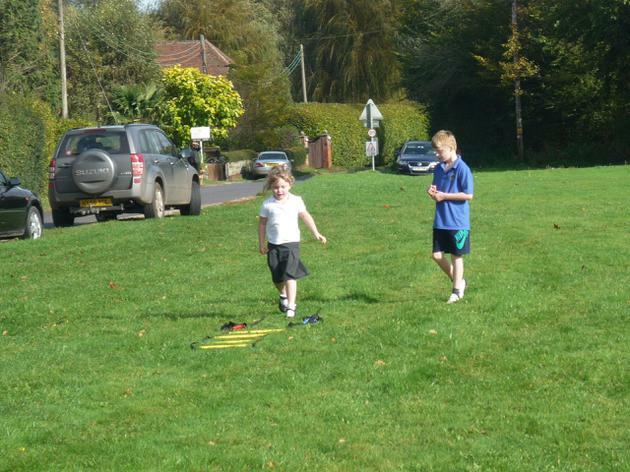 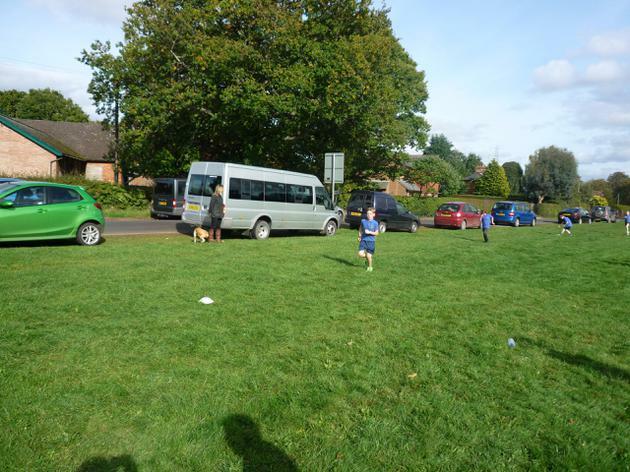 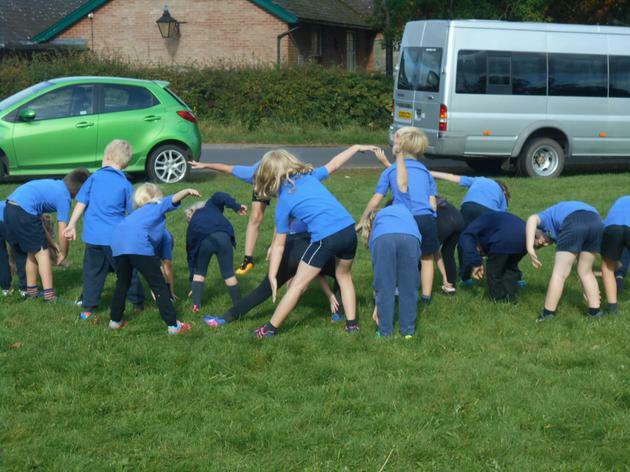 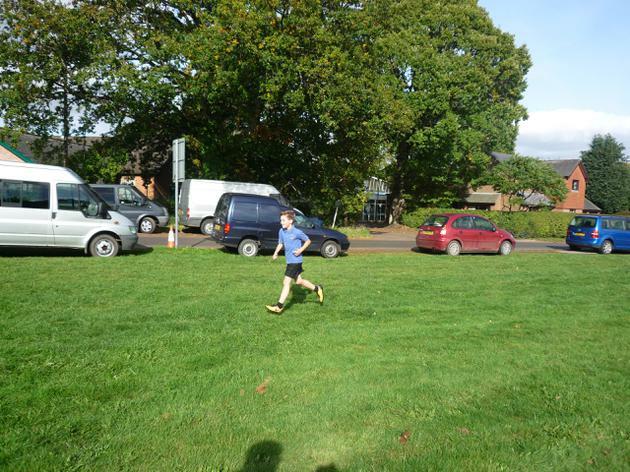 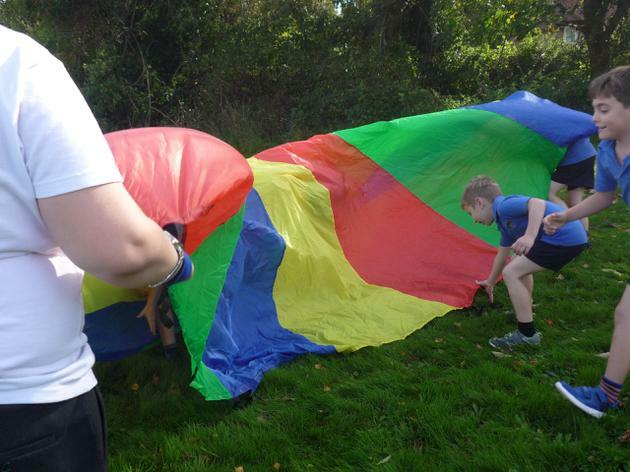 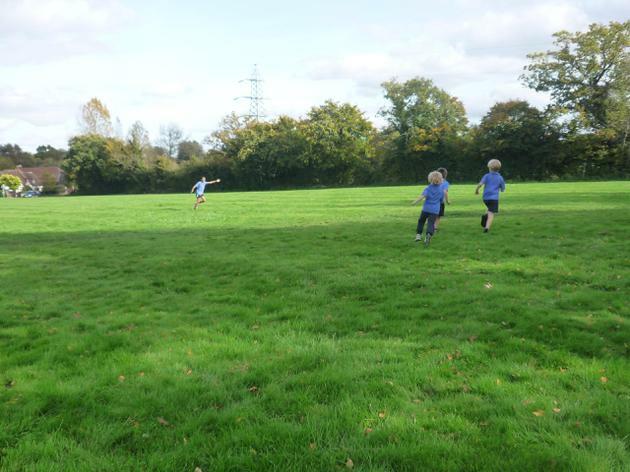 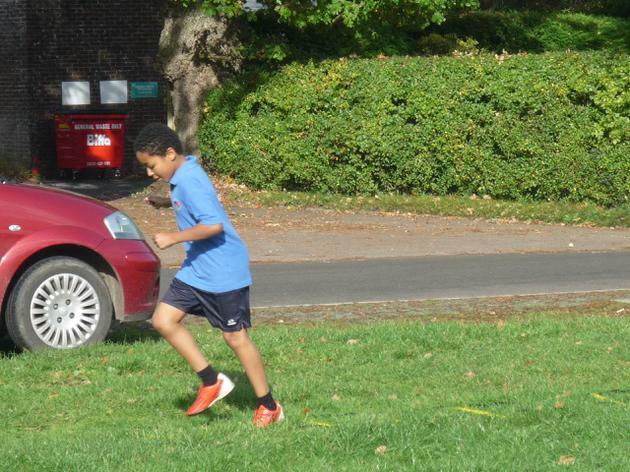 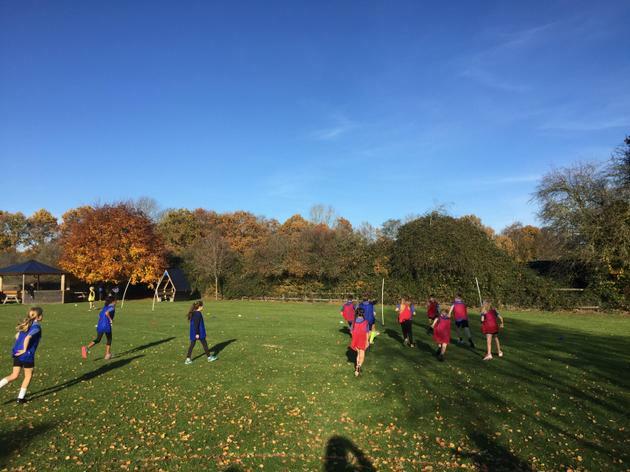 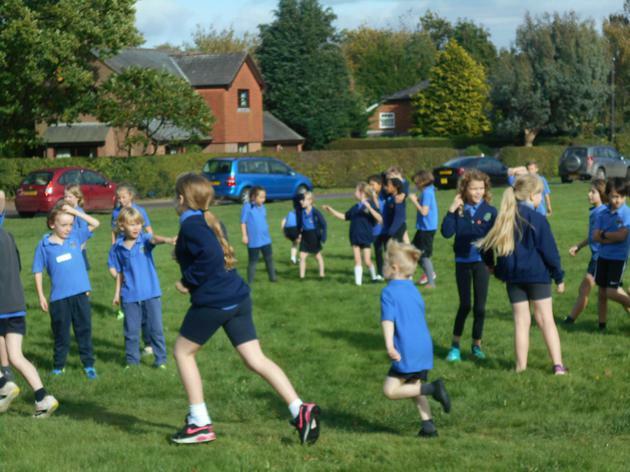 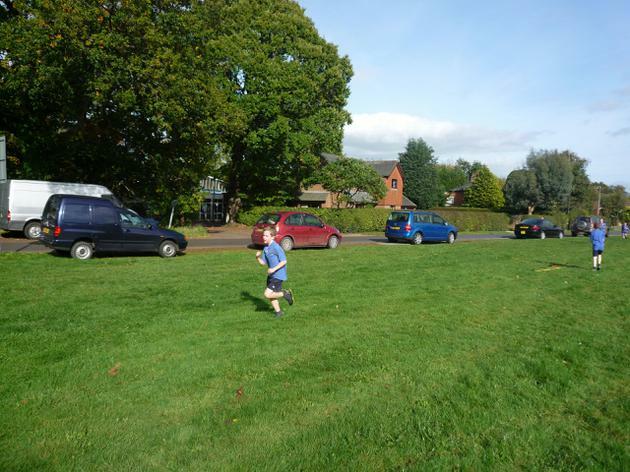 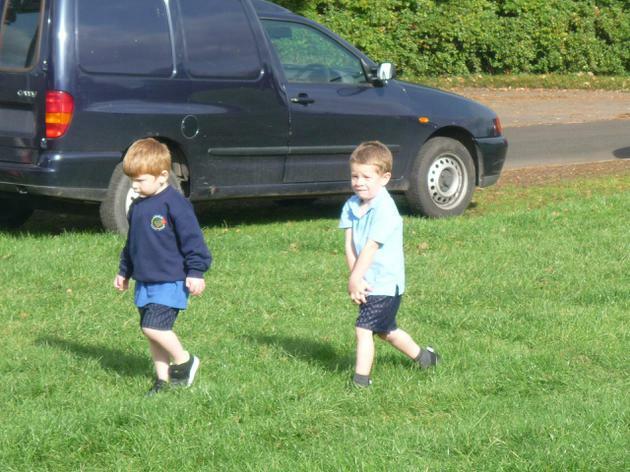 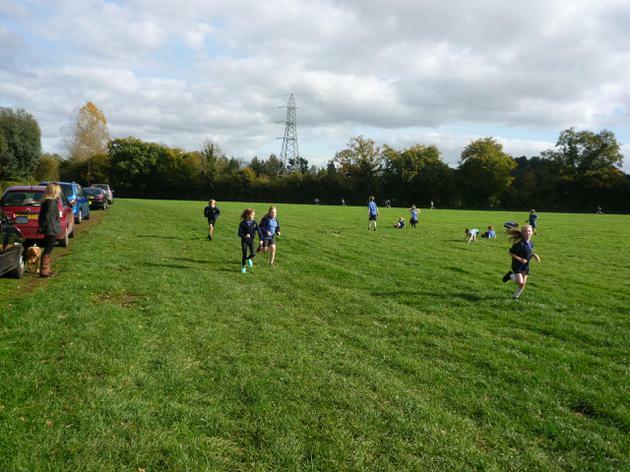 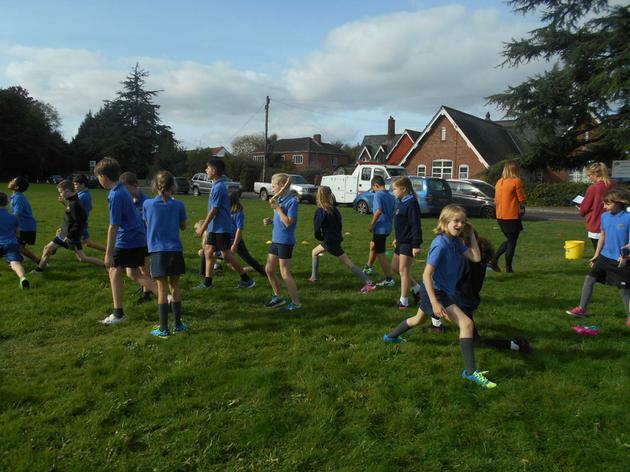 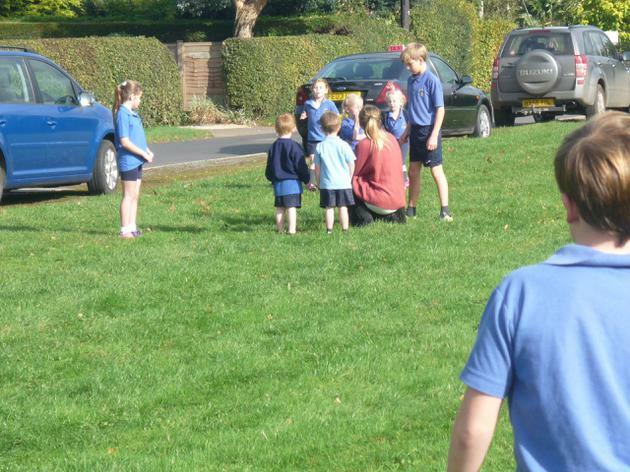 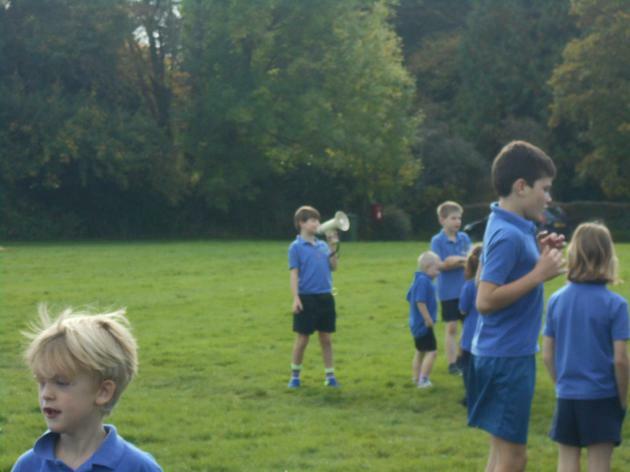 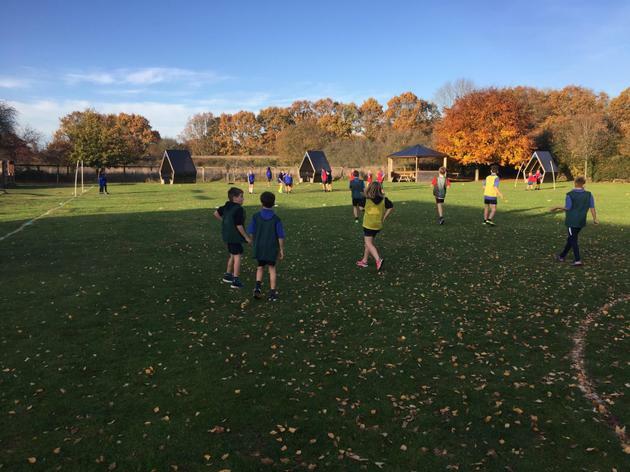 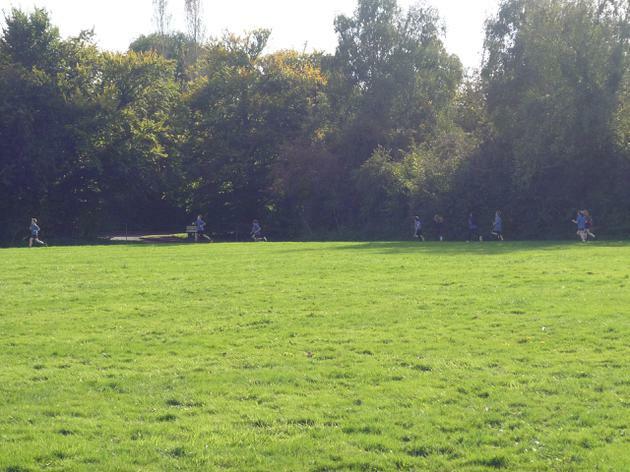 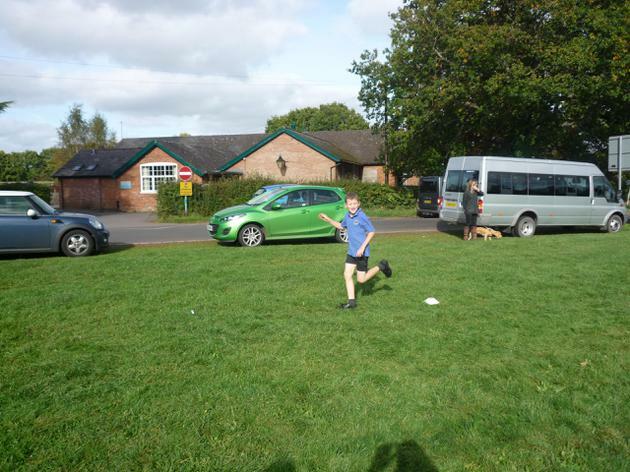 On Wednesday, in the beautiful Autumn sunshine, the whole school competed in our first intra-school event of the year. 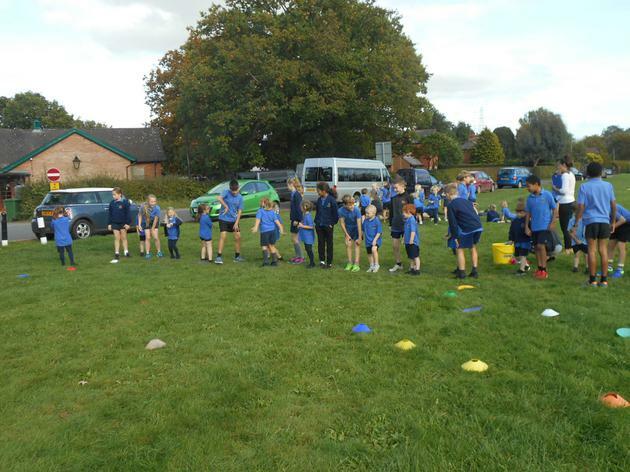 Organised and run completely by the SSOC, led on this occasion by Freddie and Grace, the children earnt points throughout the day for their house. 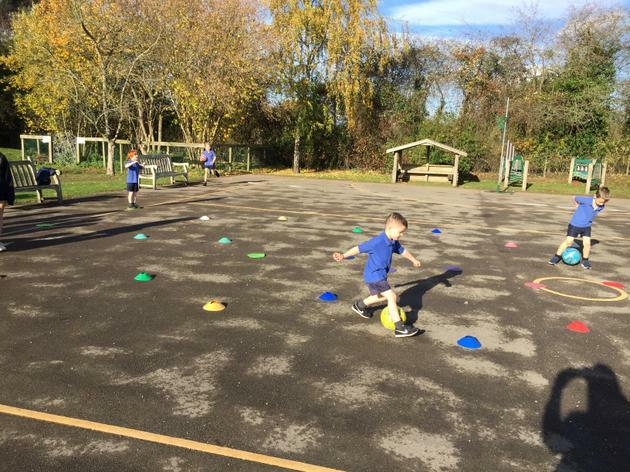 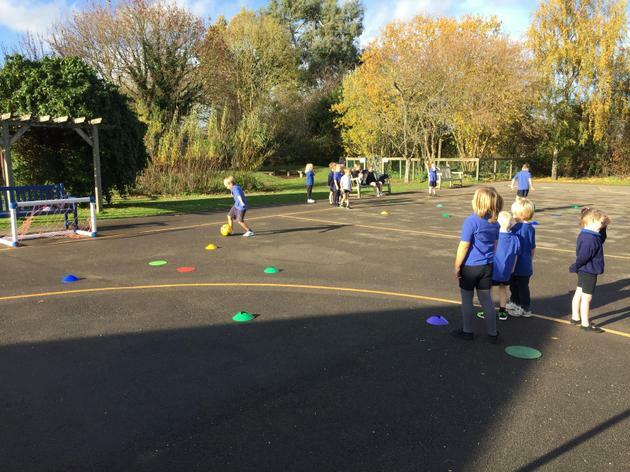 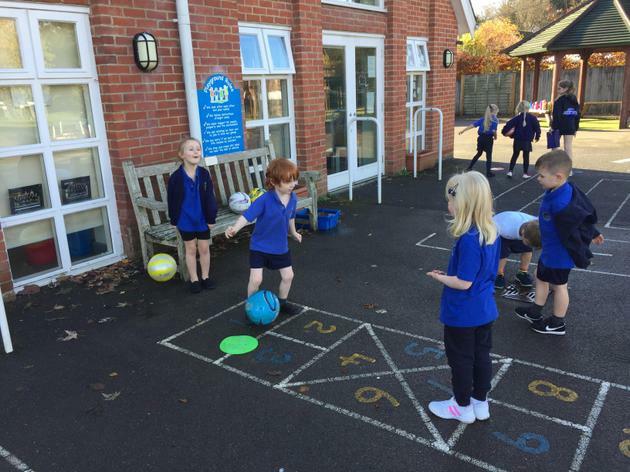 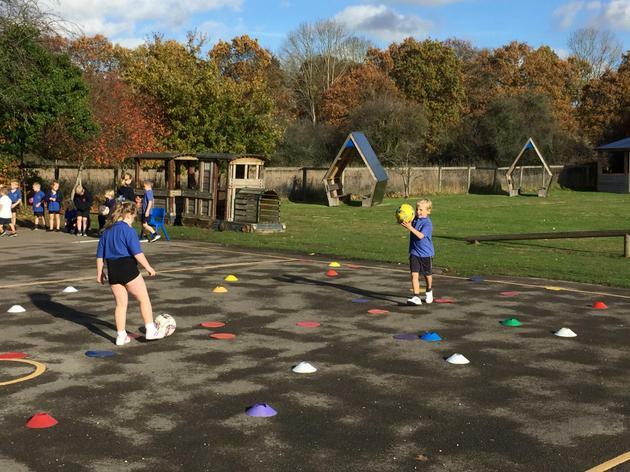 In the morning, Skippers and Admirals took part in a skills competition where they did 4 different activities ranging from dribbling to passing, shooting to football throw. 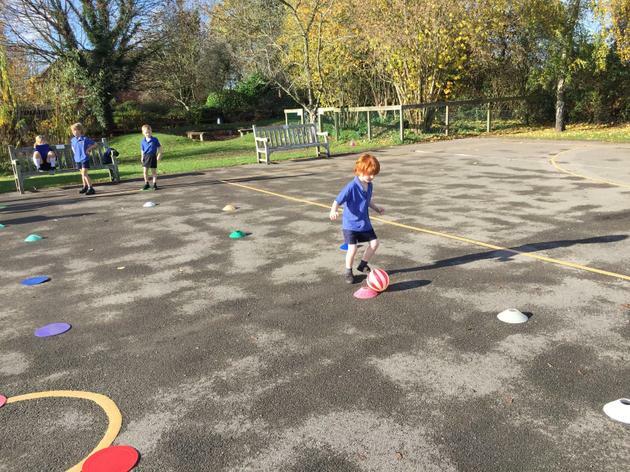 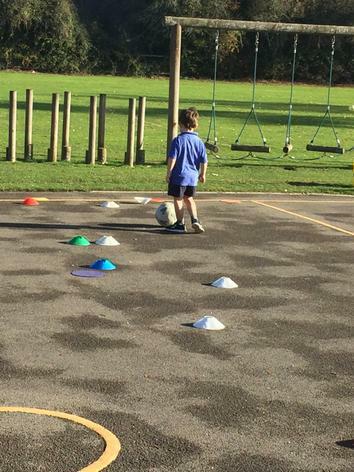 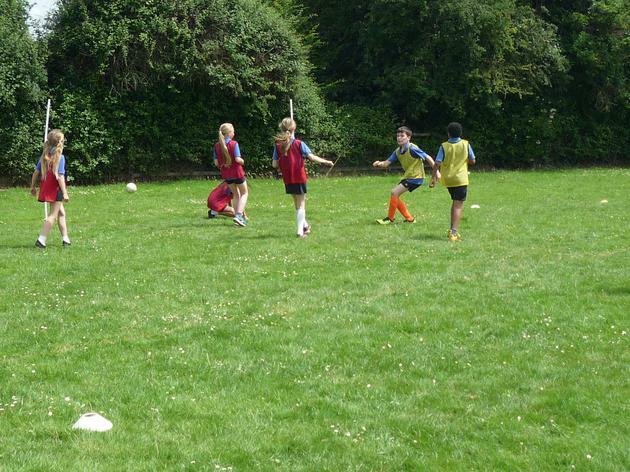 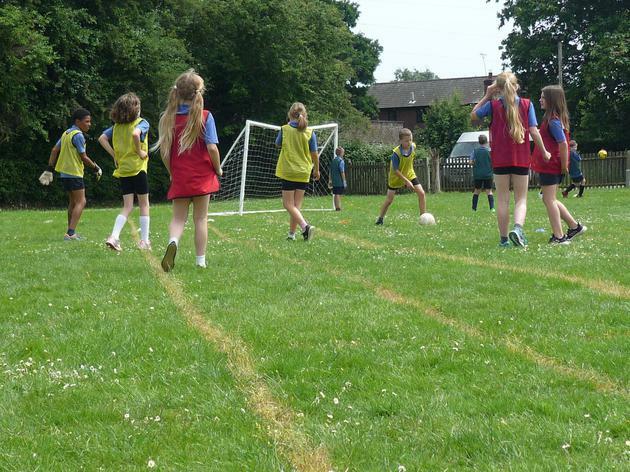 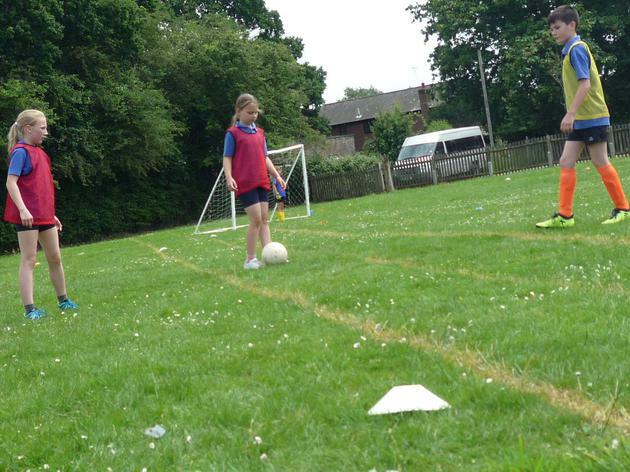 The SSOC scored the children they were with out of 4 for effort and engagement with the skill. 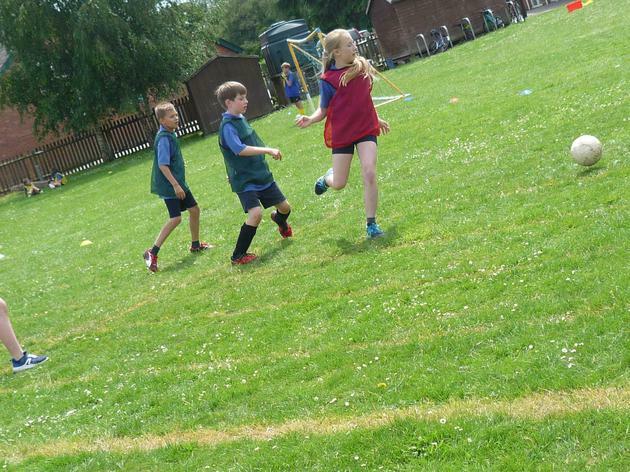 Each individual childs score was added together and saved up to add onto the KS 2 scores in the afternoon. 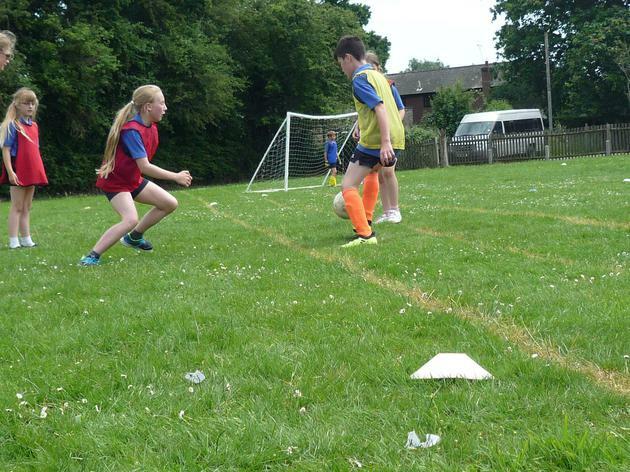 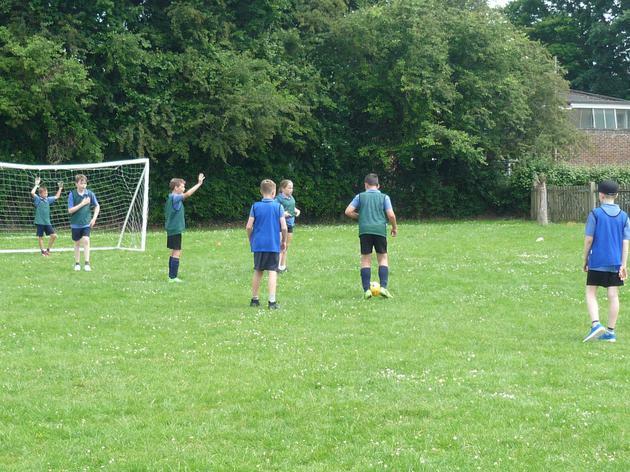 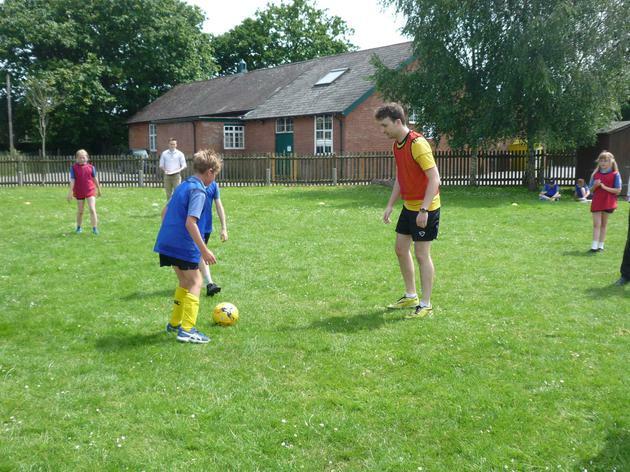 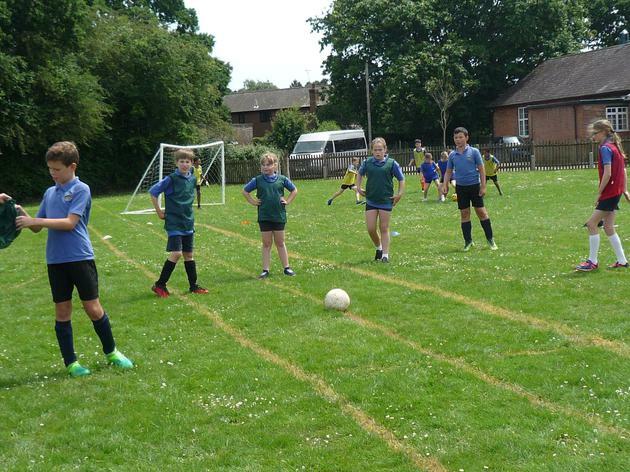 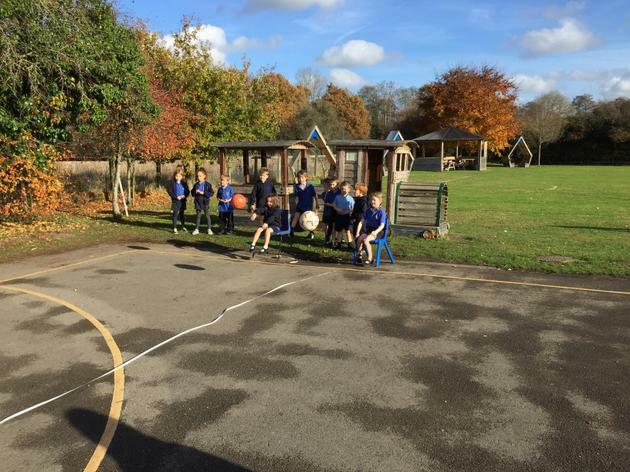 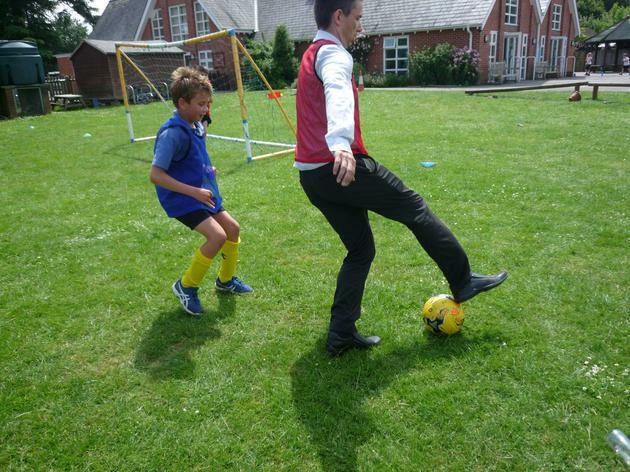 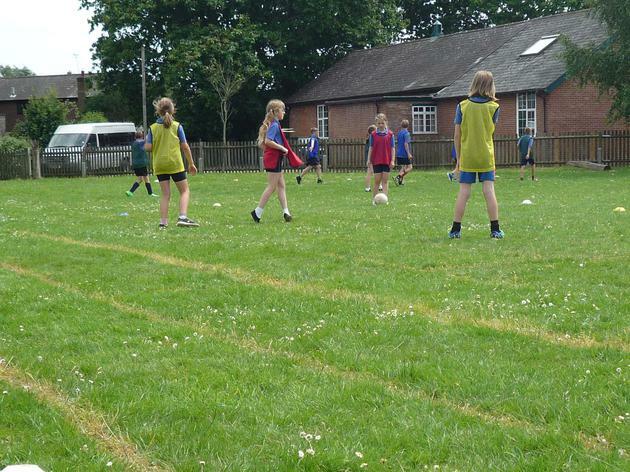 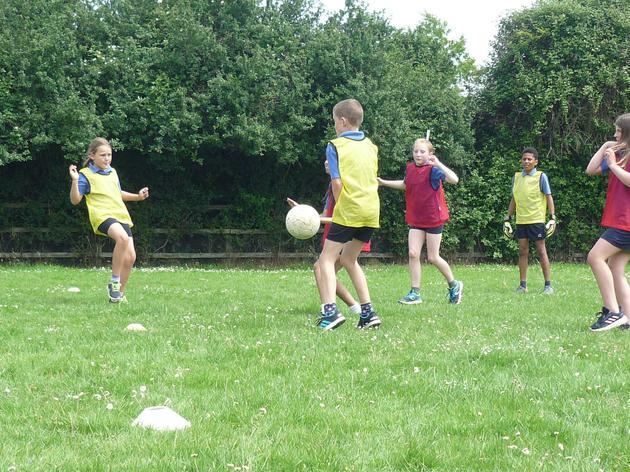 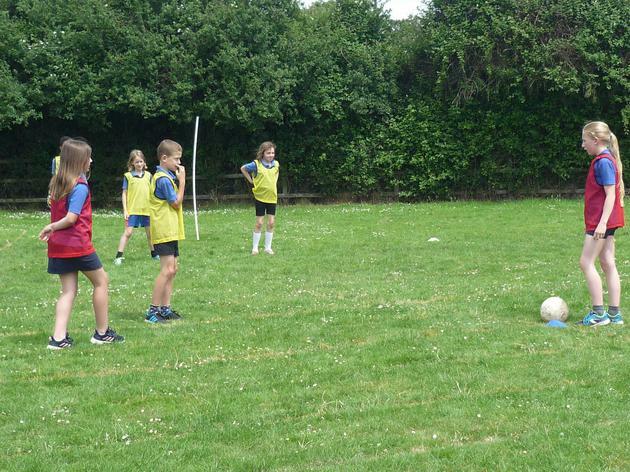 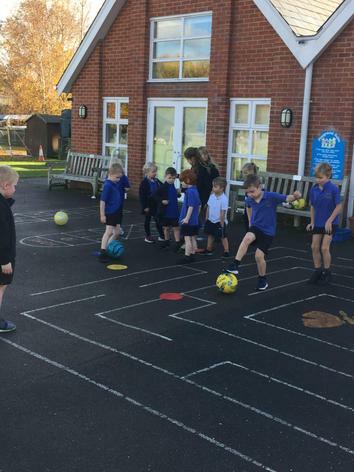 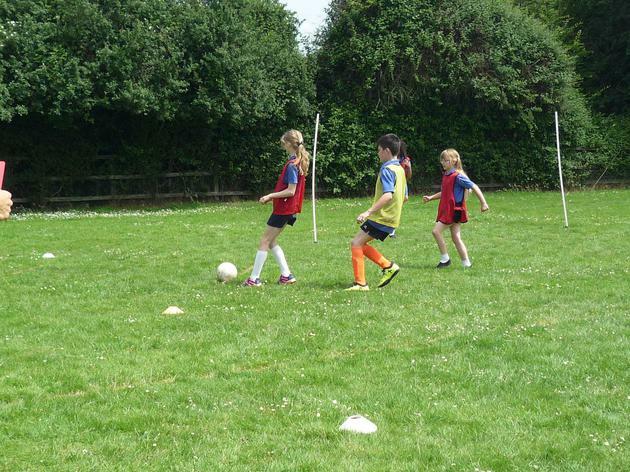 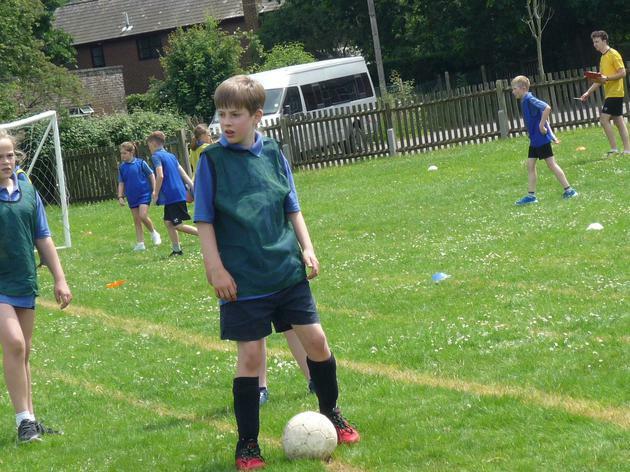 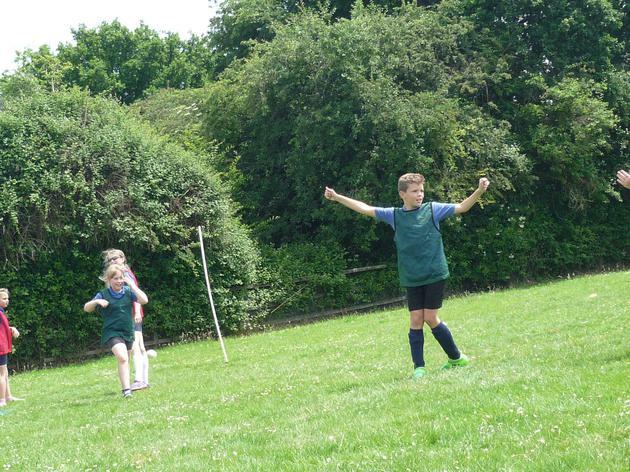 We had 2 pitches running in the KS 2 competition, one refereed by Mrs Appleby and one by Alfie F. The house captains had organised their teams and subs and worked out who was playing where and when to make it as fair as possible. 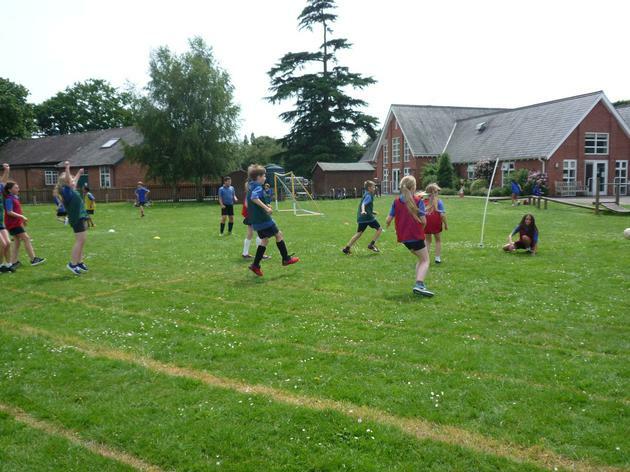 Each house played 3 matches and then a final was played between the top 2 teams and the bottom 2 teams. 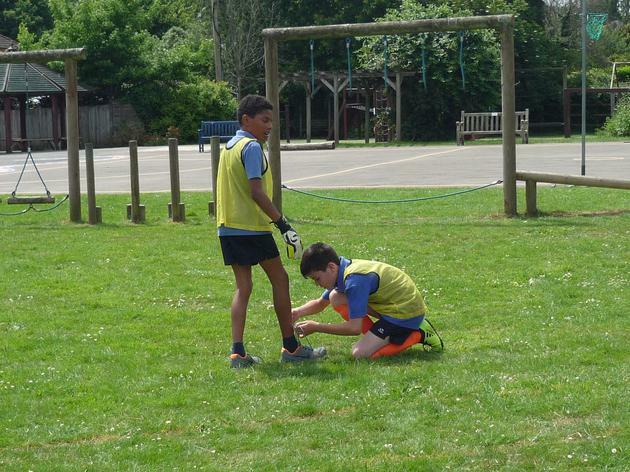 During the afternoon I saw some outstanding team work and support from those that play football regularly towards those that really never play. 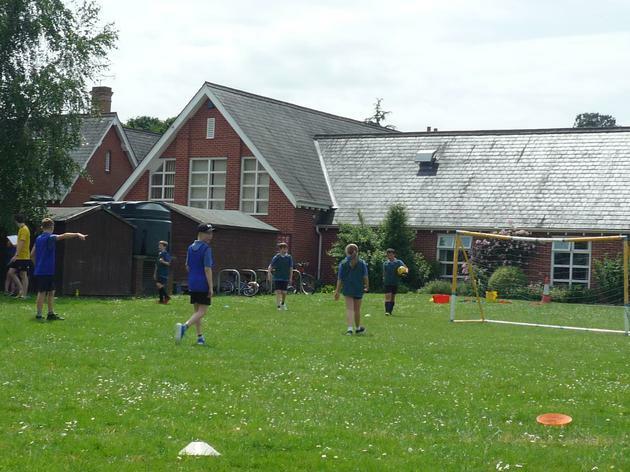 I also saw some extraordinary goal keeping skills from Adam D, who saved multiple shots on goal and some superb team management from George. 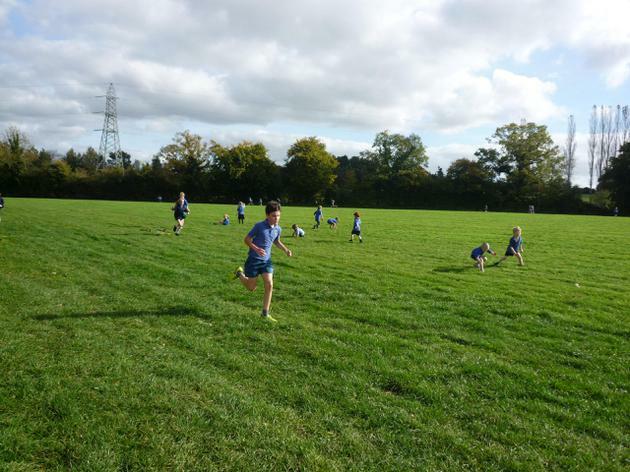 Overall, with the KS 1 scores added to the KS 2 scores, Dalgety were declared the winners. 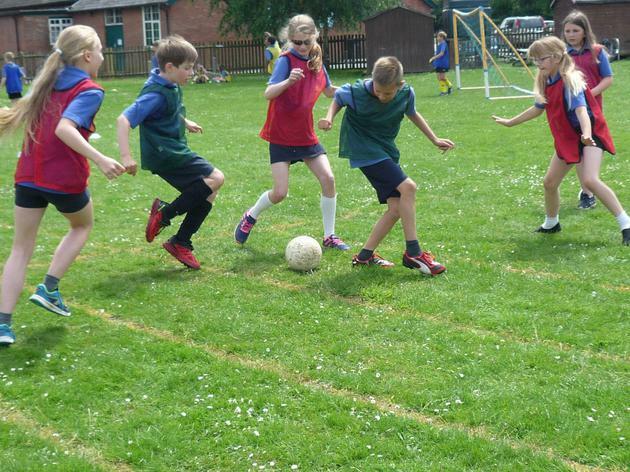 Well done to all who took part - a fantastic competition from everyone. 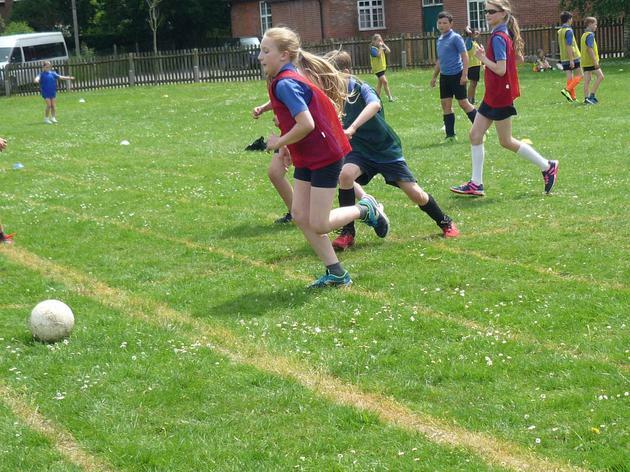 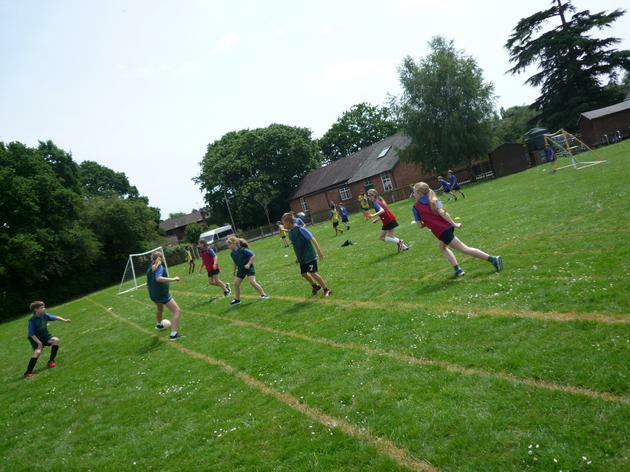 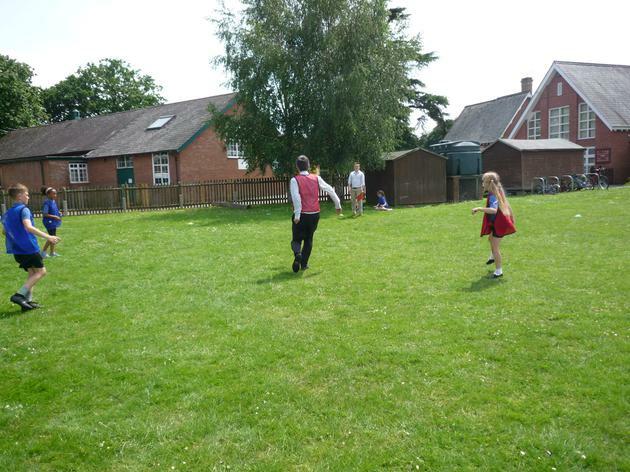 Our final intra house competition took place this afternoon when all the children in Swallowtails and Emperors played in the rounders tournament. 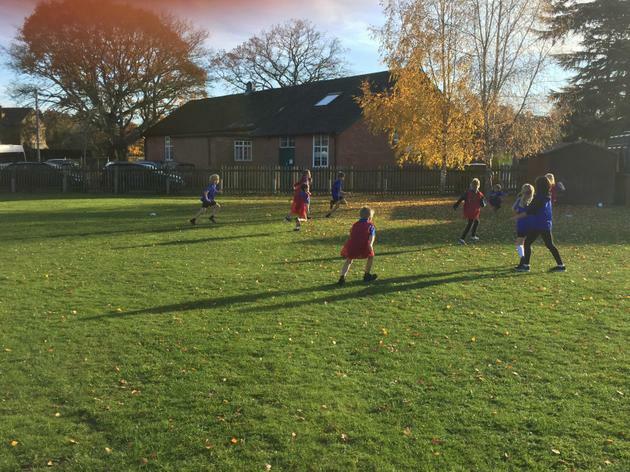 The houses worked really well together supporting each other when batting, backing up when fielding and cheering each other on. 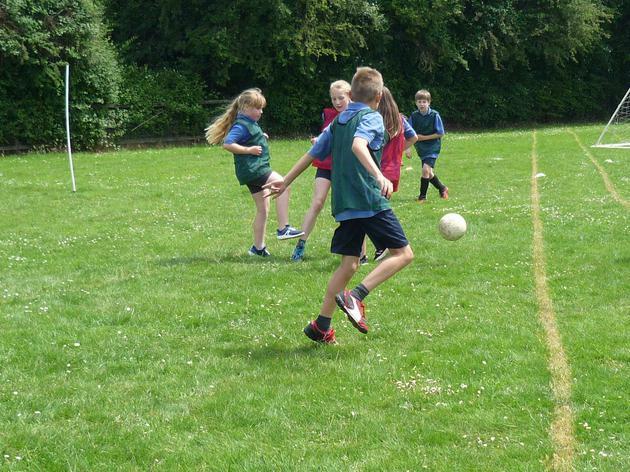 It soon became clear that the final match of the tournament, Aylwayrd v Dalgety, was going to be the deciding match with both teams having won all their matches up until that point. 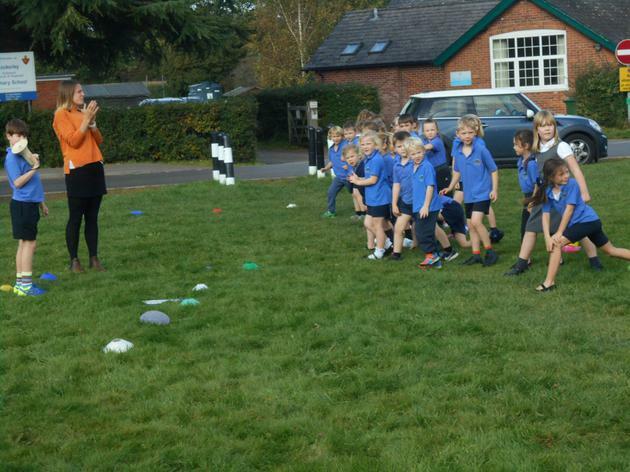 Mrs Appleby managed to keep all the scores secret until the collective worship when the winners were announced. 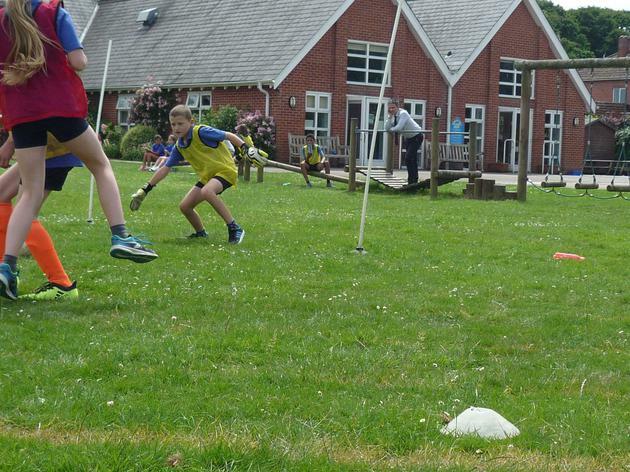 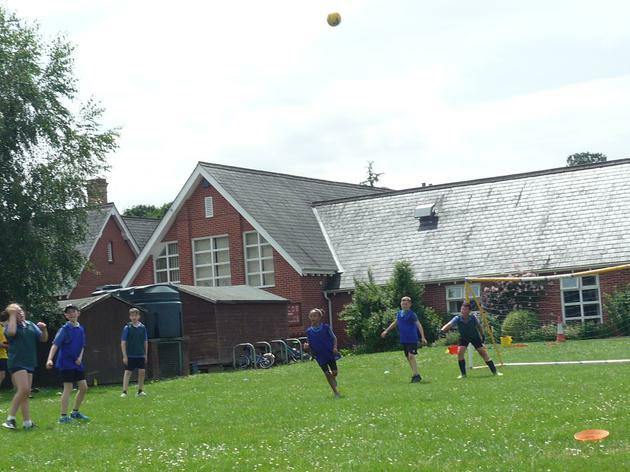 Dalgety scored the most rounders, 19, throughout the tournament with Rolle scoring the next highest number with 17 and a half, despite not winning any of their matches. 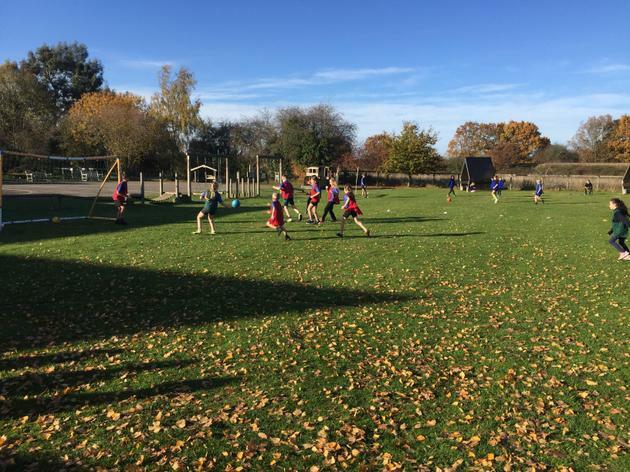 The overall victors were Aylward - who deserved the win after some fabulous fielding and batting. 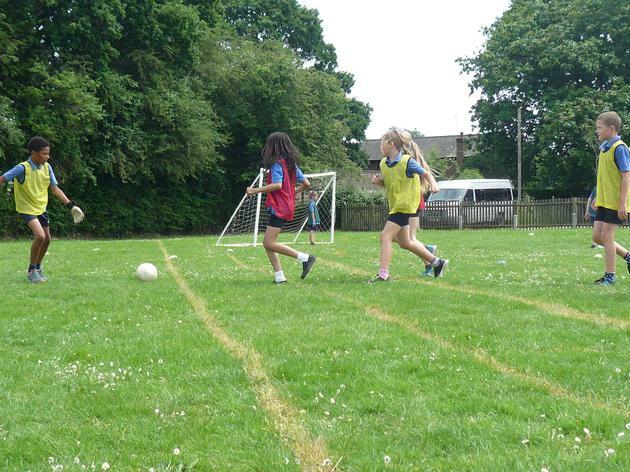 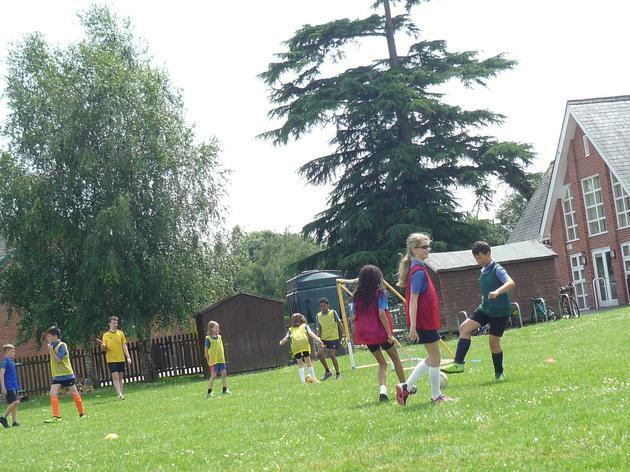 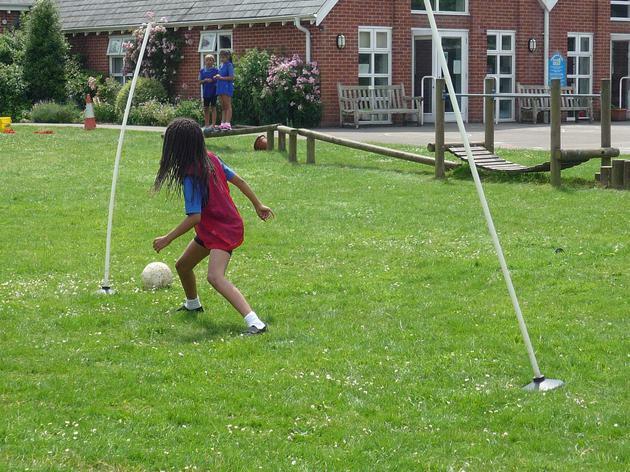 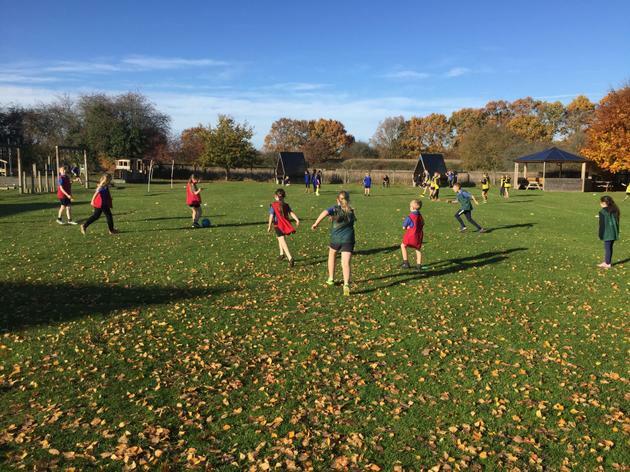 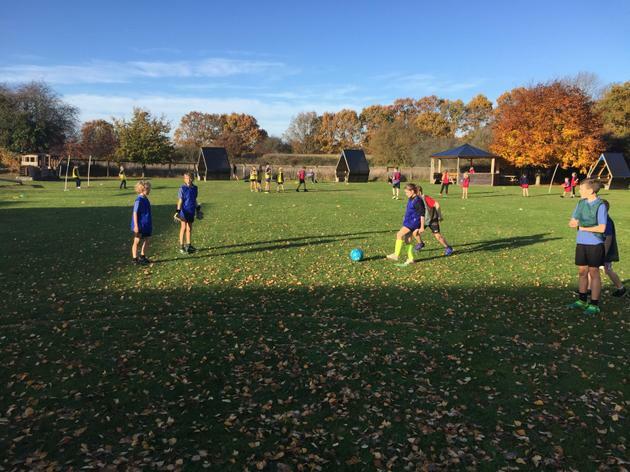 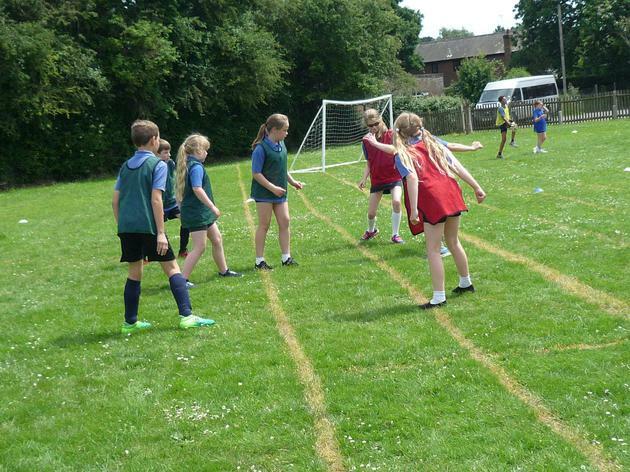 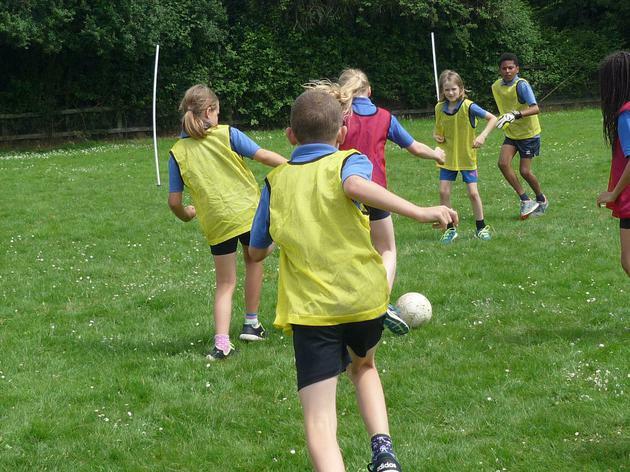 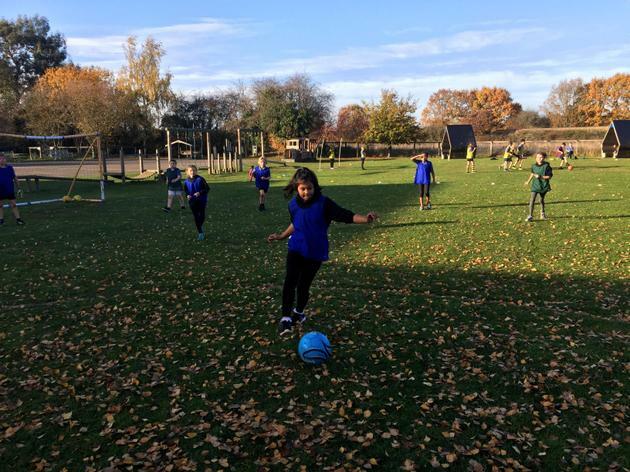 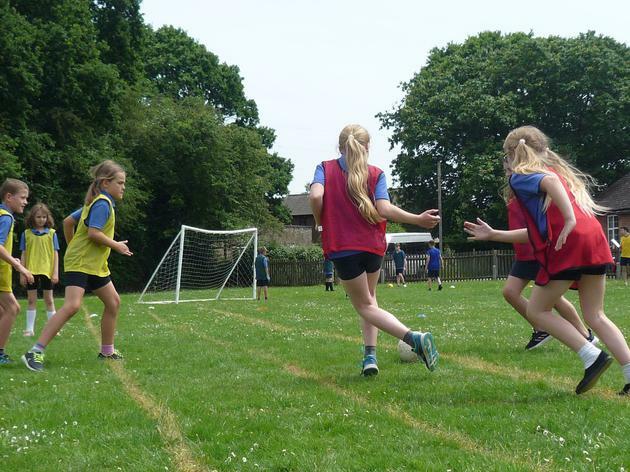 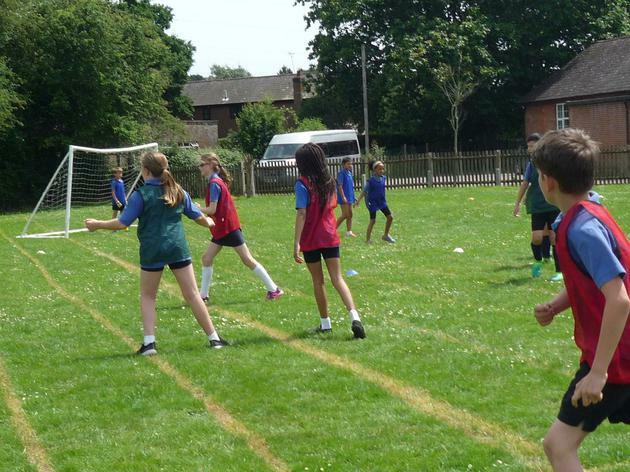 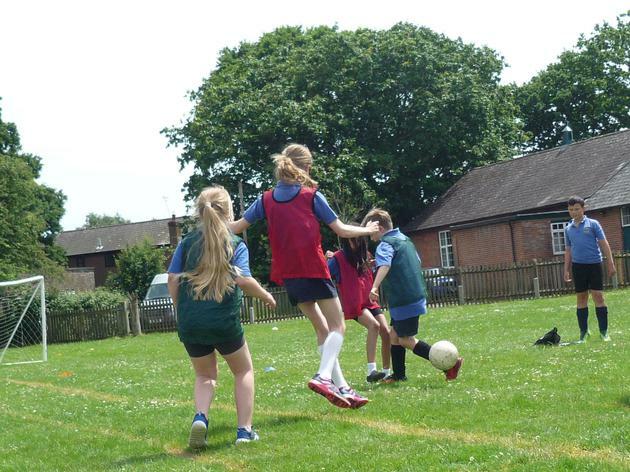 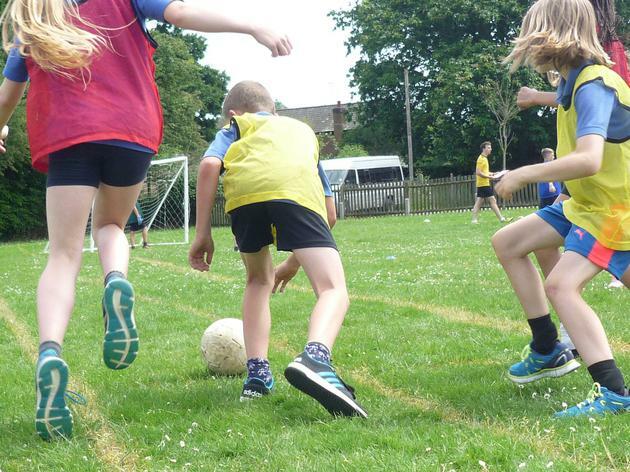 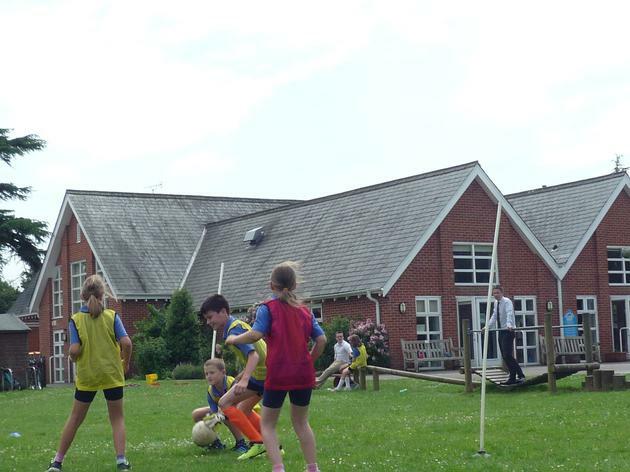 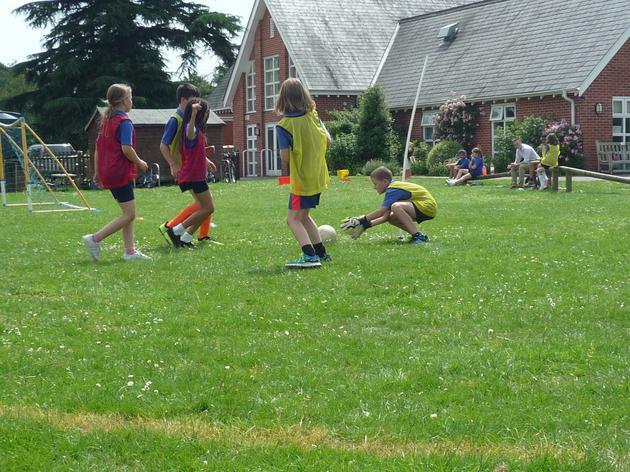 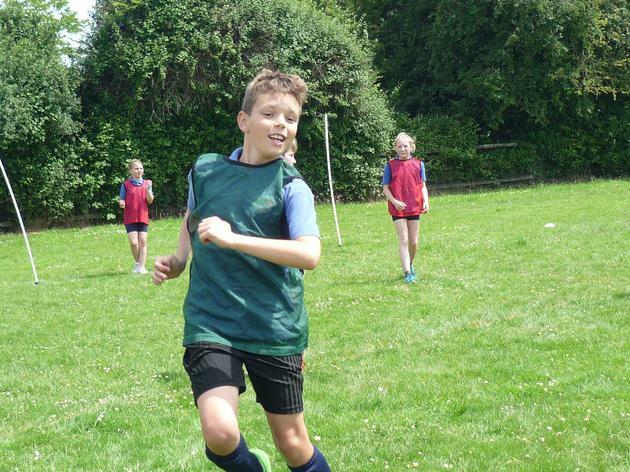 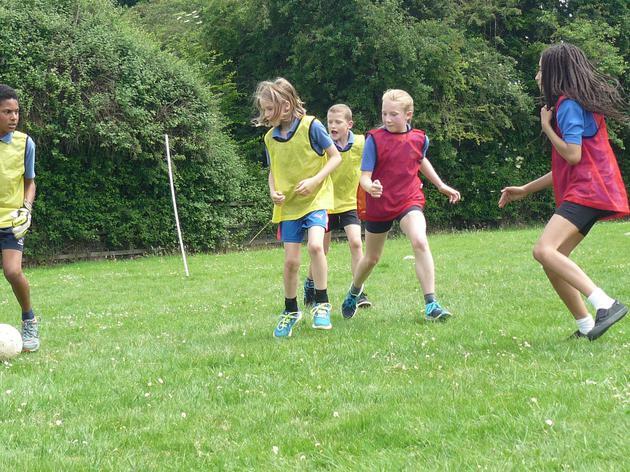 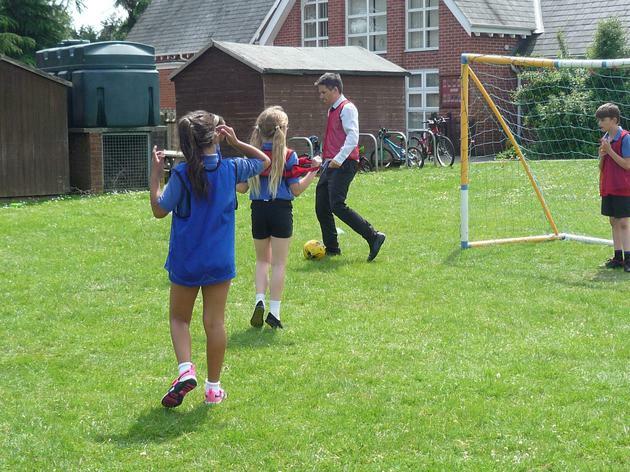 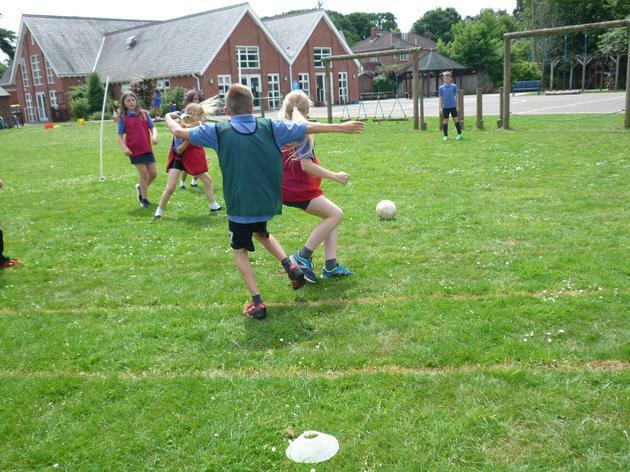 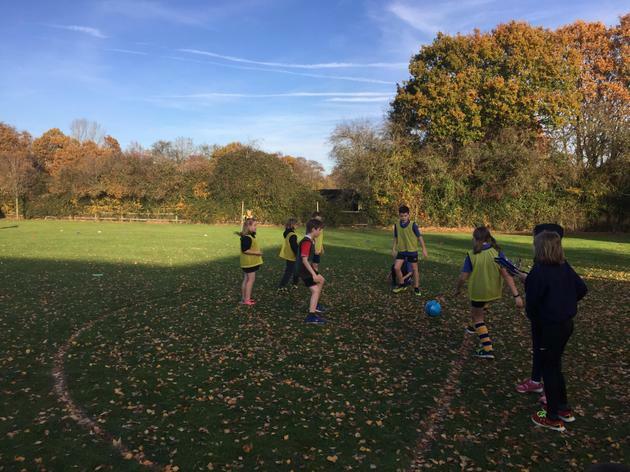 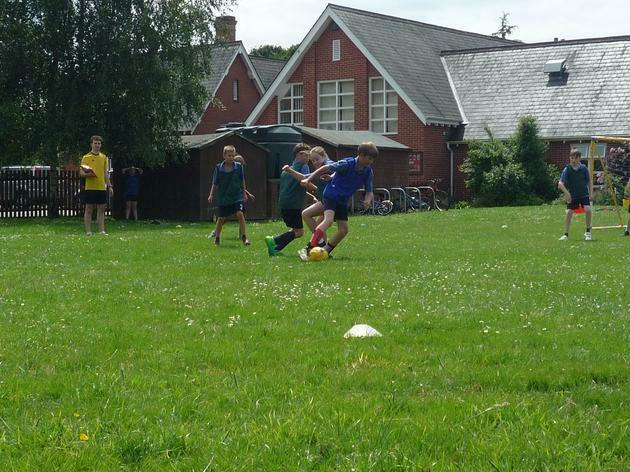 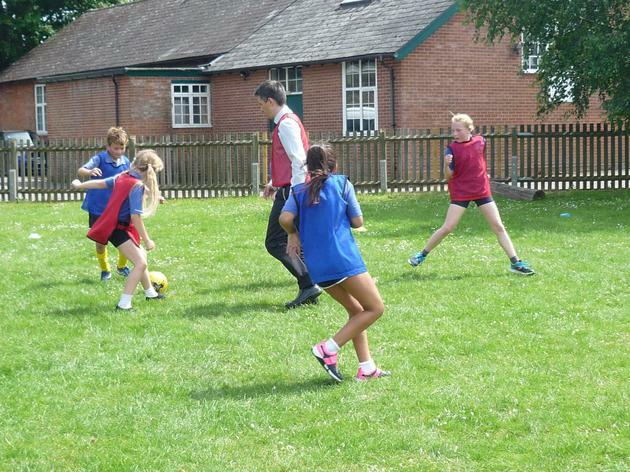 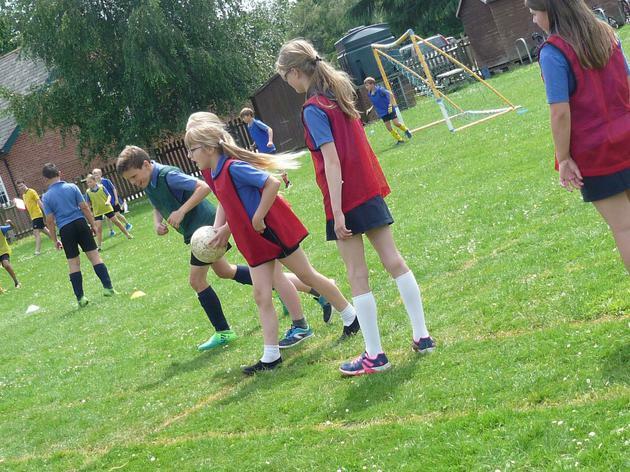 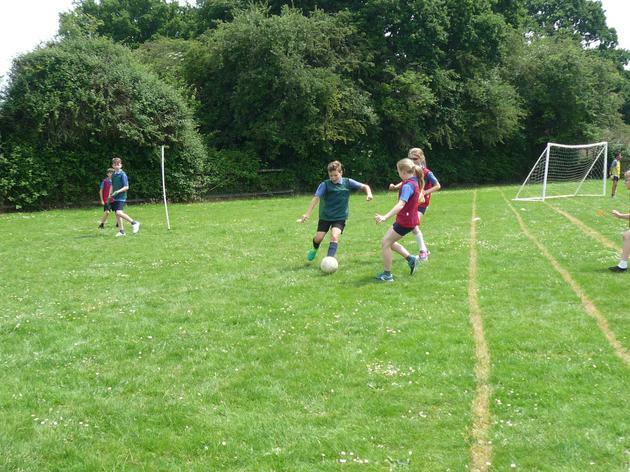 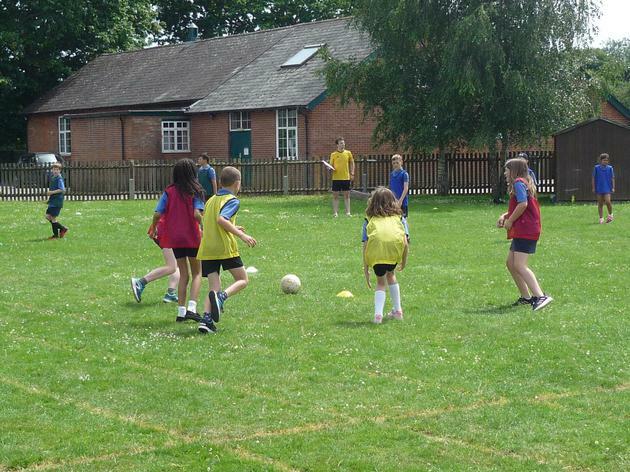 On Wednesday afternoon the 4 house football teams took to the field to compete in the Lockerley Primary School World Cup 2018. 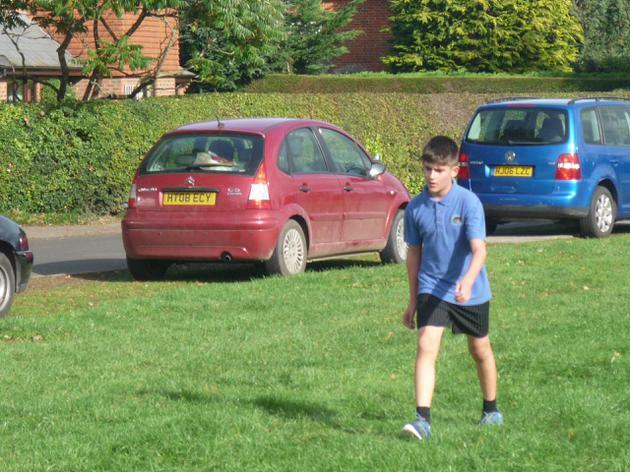 Toby and Alfie had organised the competition-5 a side with rolling subs, matches 7 minutes each way with 1 minute turn around. 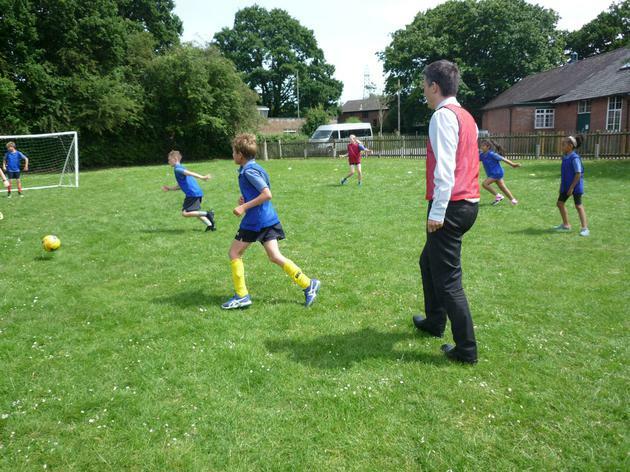 On pitch 1 Rolle took on Dalgety refereed by Mrs Appleby, while on pitch 2 Aylward played against Nightingale with Mr Magrane refereeing. 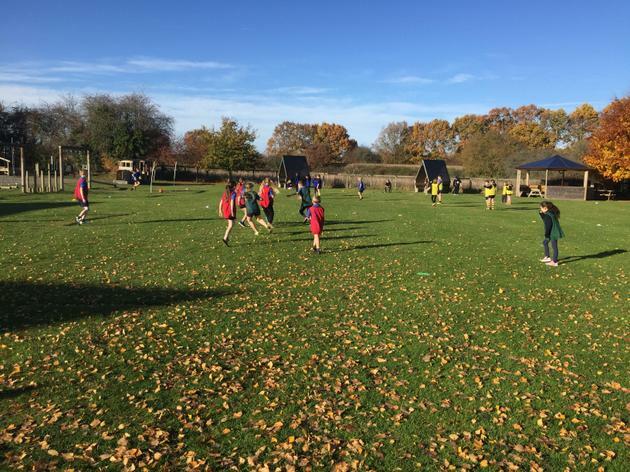 As the whistle blew to start the competition Dalgety were quick to score against Rolle and ended up with a winning score of 7-3. 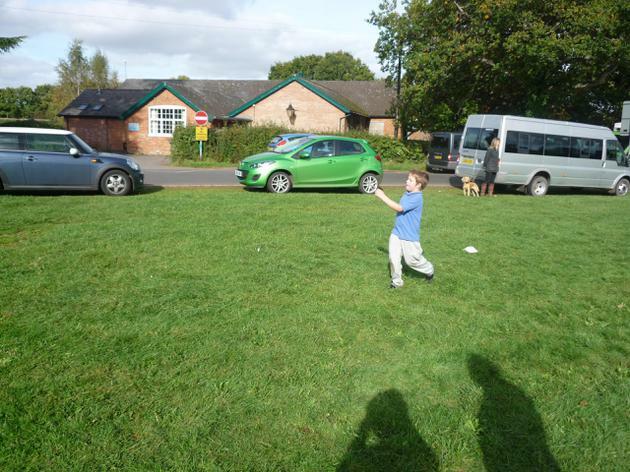 On pitch 2 it was fairly evenly matched with the result being a 3 all draw. 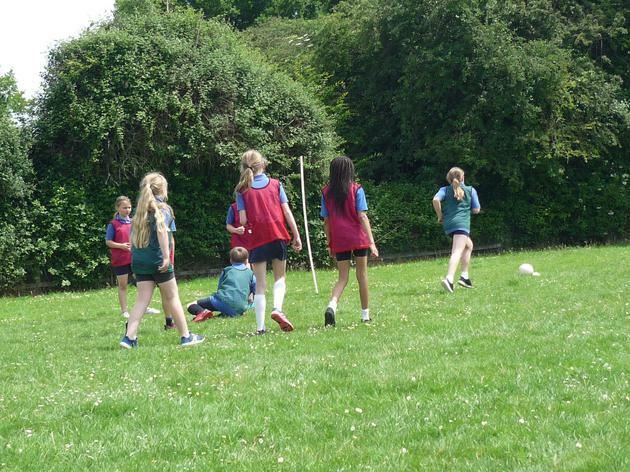 As the second match began on pitch 1 Aylwayd again took an early lead against Rolle who fought hard with Primrose and Tilly working well together to keep the ball away from their goal. 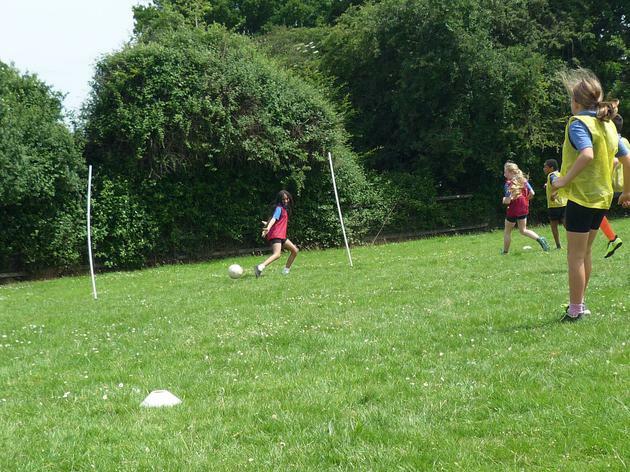 Meanwhile on pitch 2 Dalgety took on Nightingale beating them by only goal. 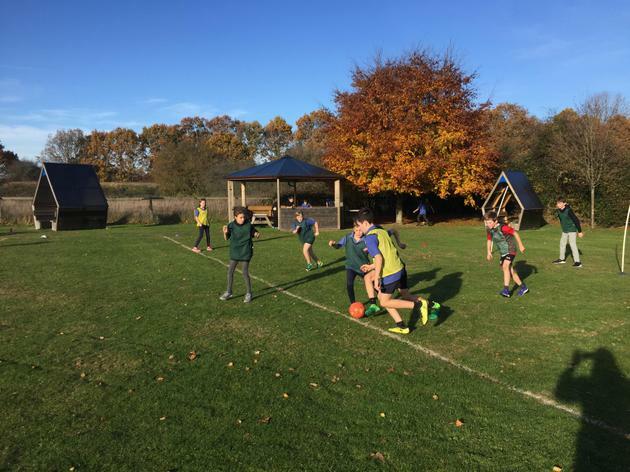 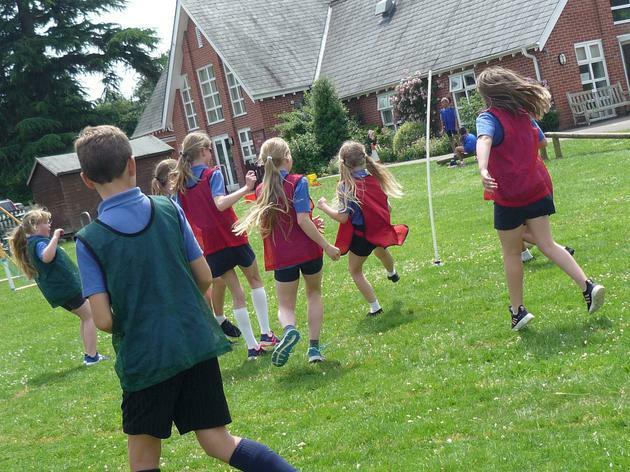 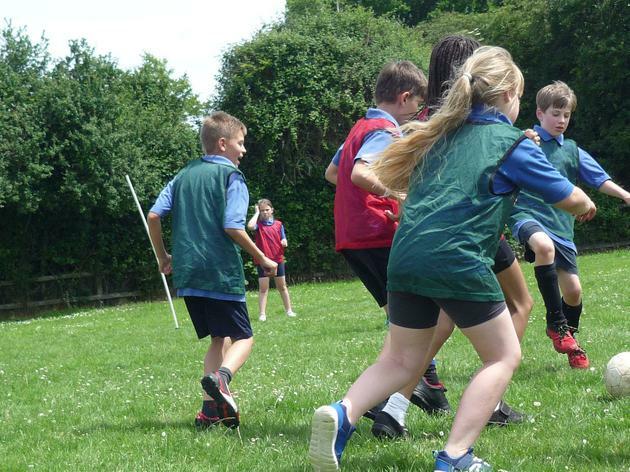 Things were close in the final matches and both referees noticed how well the houses were working together as a team - supporting each other and coaching each other with positive comments throughout the matches. 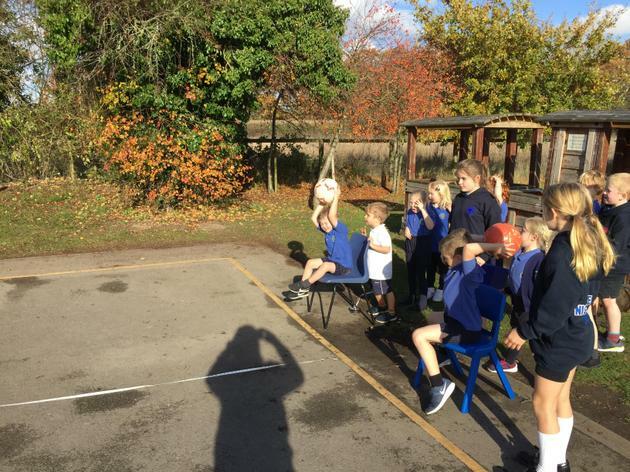 Mr Dodson and Mr Magrane couldn't resist helping out Rolle in their final match against Nightingale as injury took out one of their players. 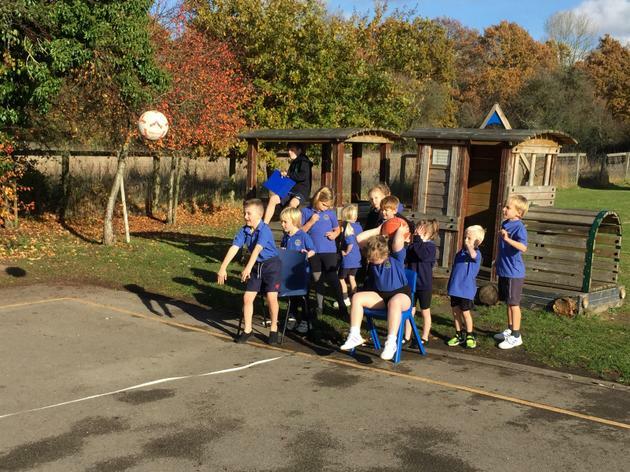 Unfortunately it was too little too late for Rolle and the final result was 11-6 to Nightingale. 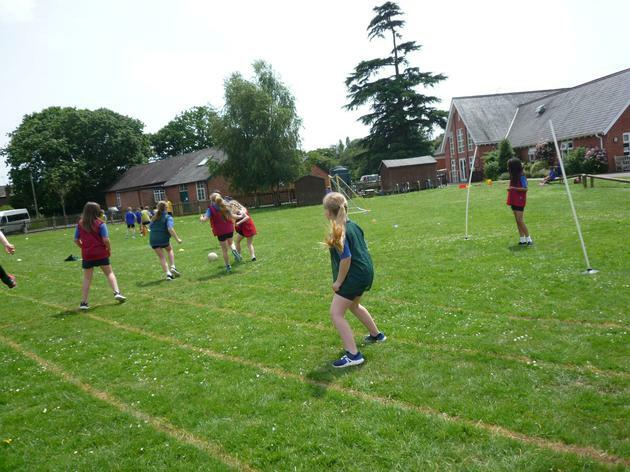 A very tense final match was playing out on pitch 1 with Aylward against Dalgety both looking to take a win to secure overall victory in the competition. 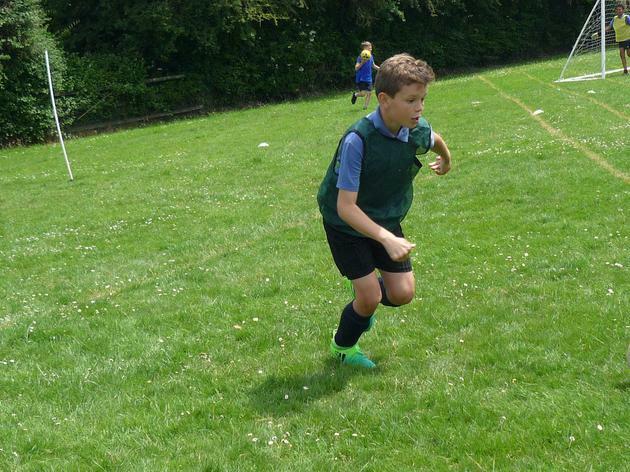 As Aaron went off injured Dalgety took the lead but after some ice and rest he came back on to help his team level the score resulting in a 4 all draw. 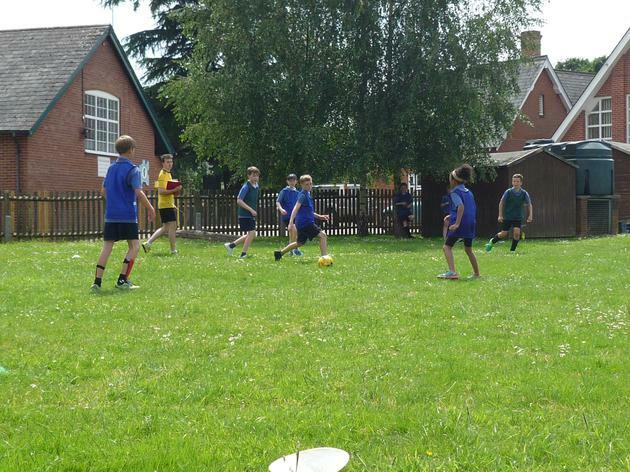 After all the points were added up Dalgety were declared the worthy winners of the 2018 Lockerley World Cup 2018. 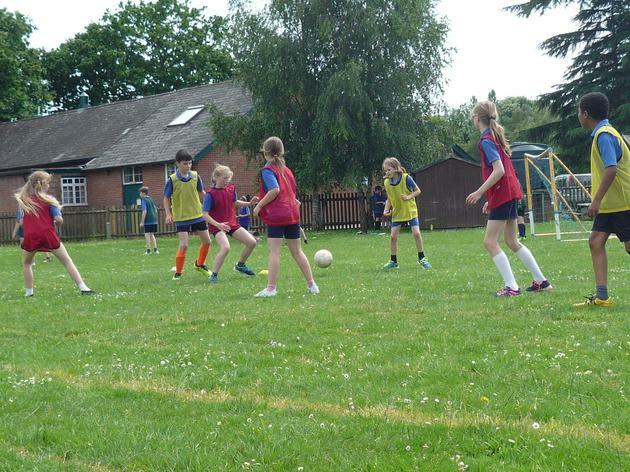 Well done to all the players for a fantastic competition, for many it was their first ever football macth! 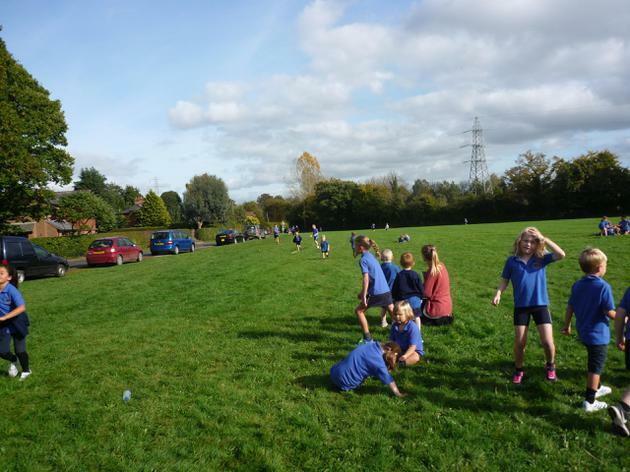 Run the Green - with a twist! 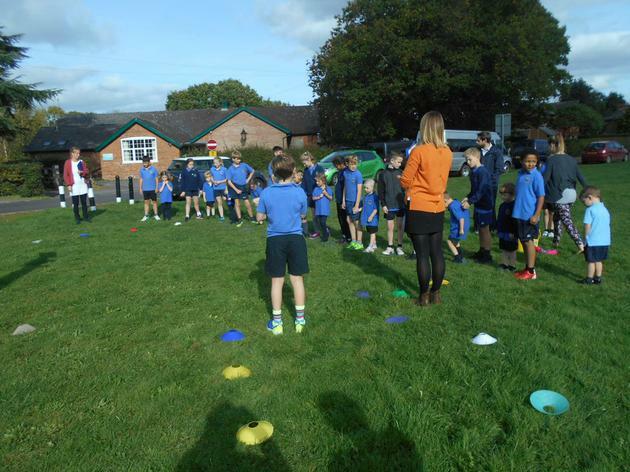 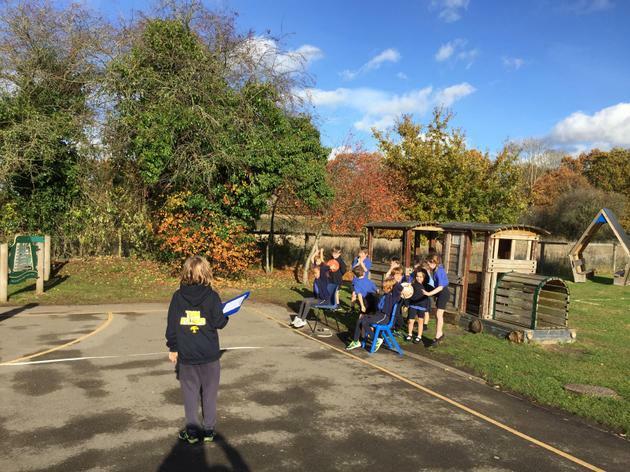 The bronze ambassadors ran a short assembly where they explained to the children what the 'twists' were and how the event would work and then the whole school headed out onto Butts Green. 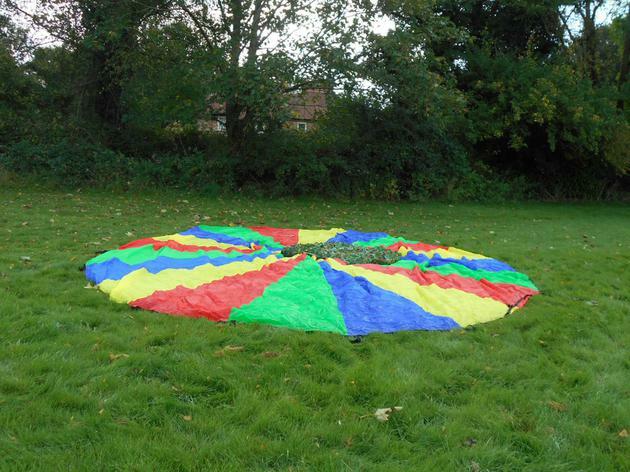 Skippers and their buddies took to the start line first completing half a lap of the green including going through hoops and crawling under a parachute. 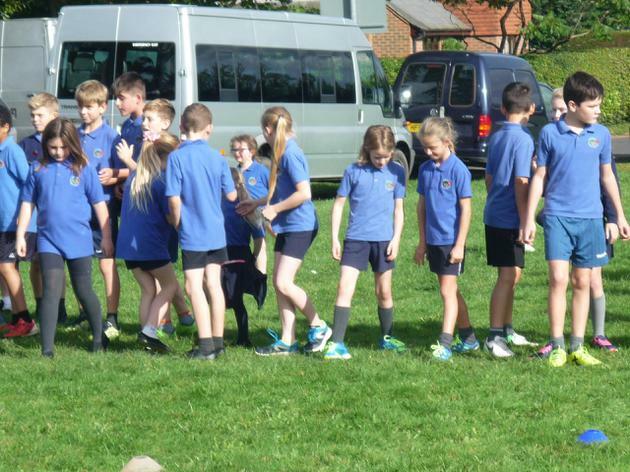 There were many smiles and proud faces as they came into the finish cheered on by the rest of the school. 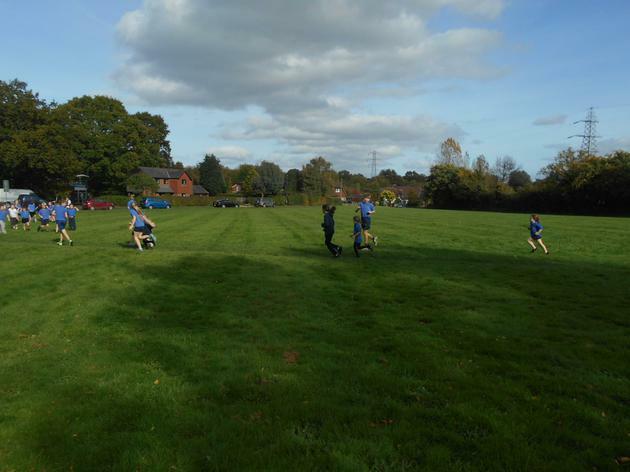 Next up were Admirals, completing 1 lap of the green with the same twists as skippers plus an extra one up the final straight; speed ladders. 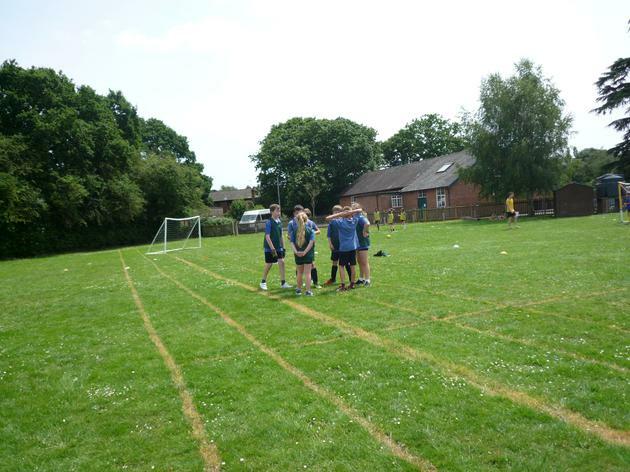 Emperors followed on from them completing 3 laps of the course with swallowtails joining them for 2 laps. 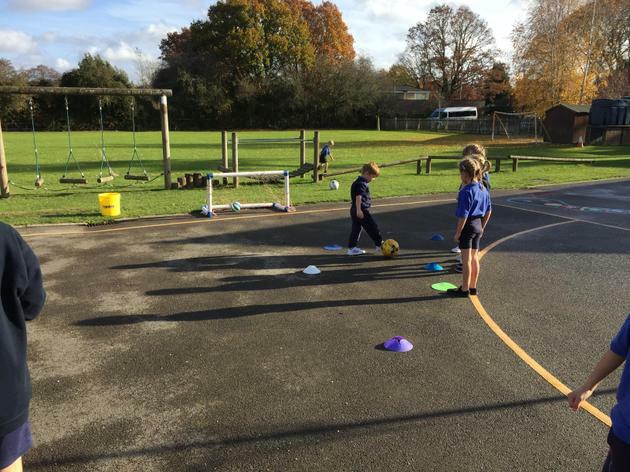 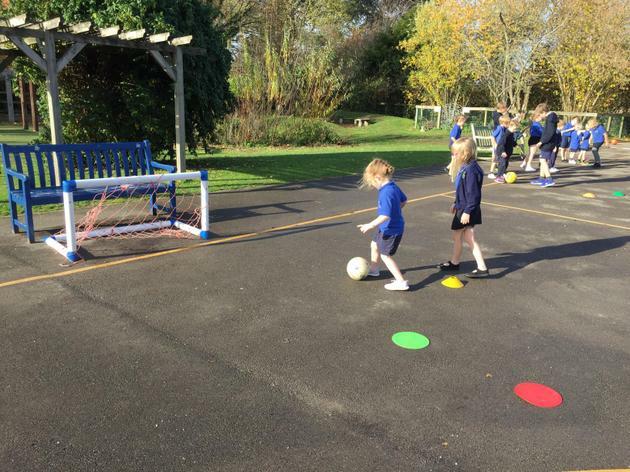 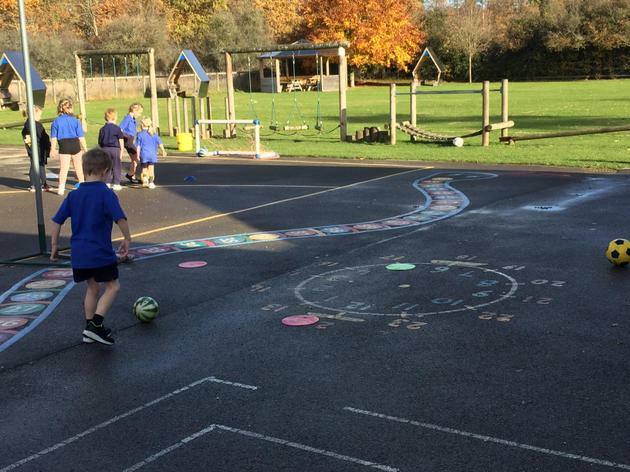 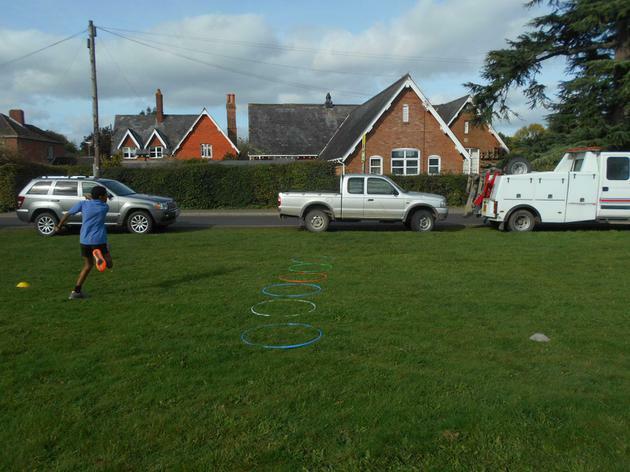 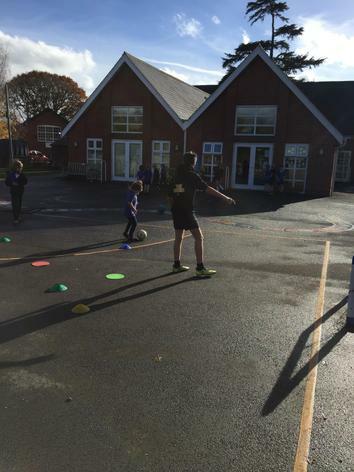 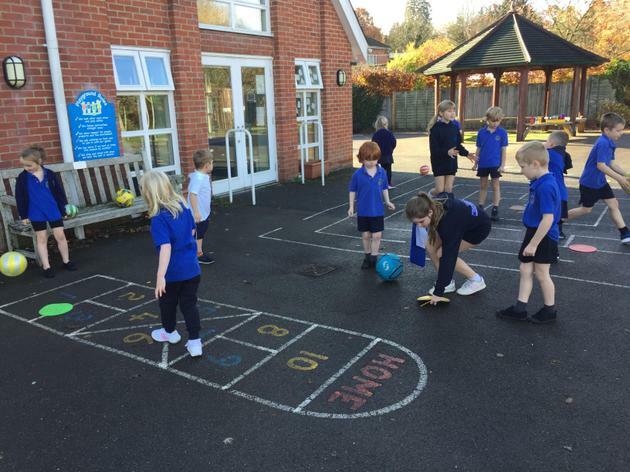 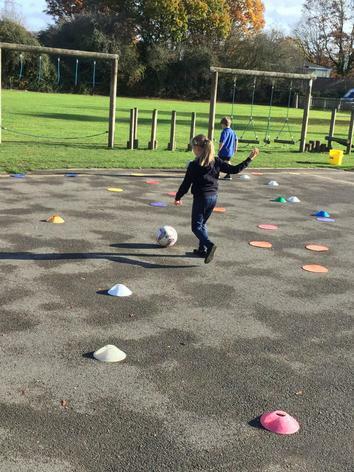 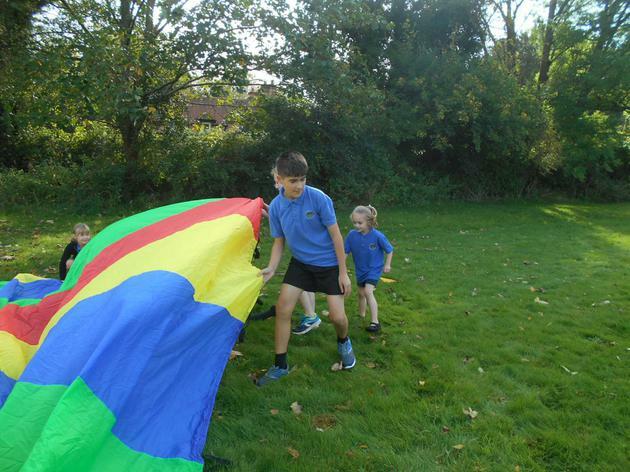 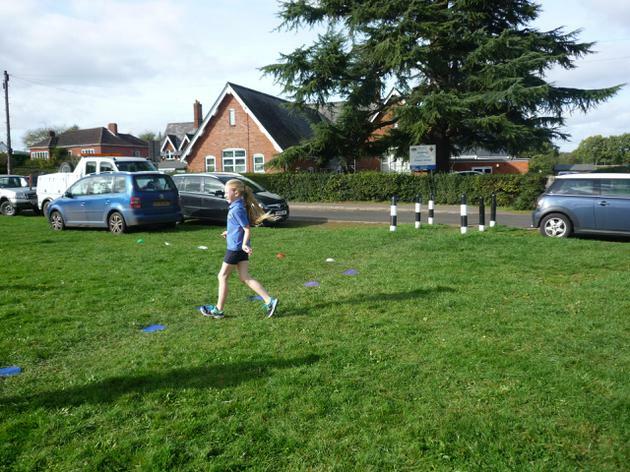 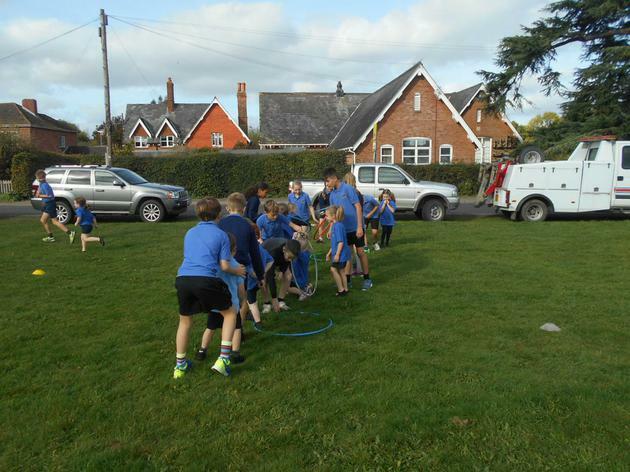 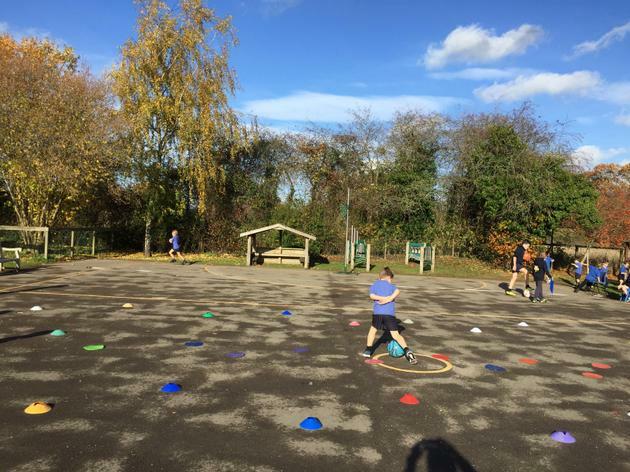 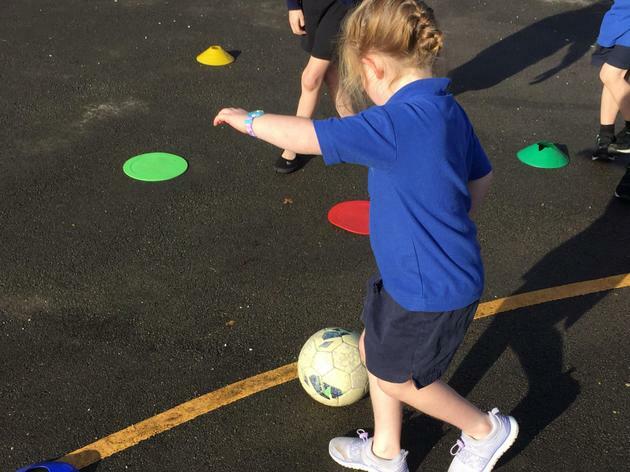 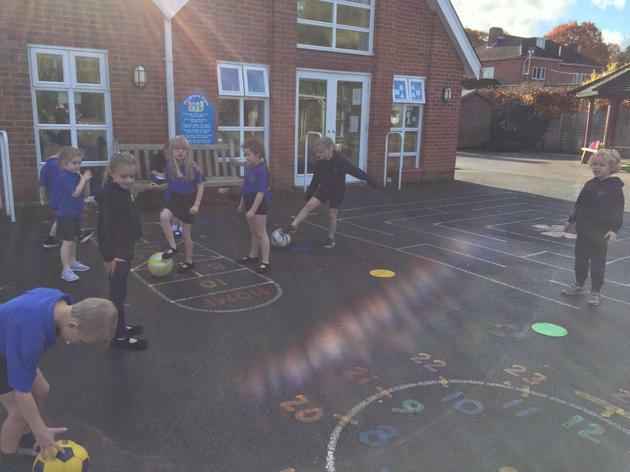 All of the teachers were very impressed with the ease with which all the children completed the course; the Golden Mile has certainly made a difference to the children's stamina and perseverance. 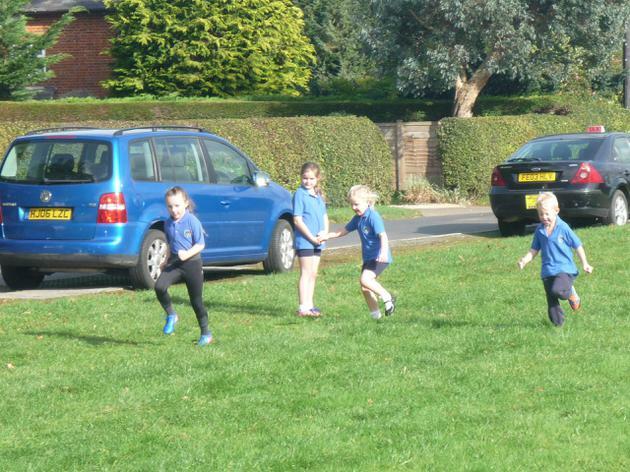 In fact they did so well that we think everyone will have to run twice as far next year! 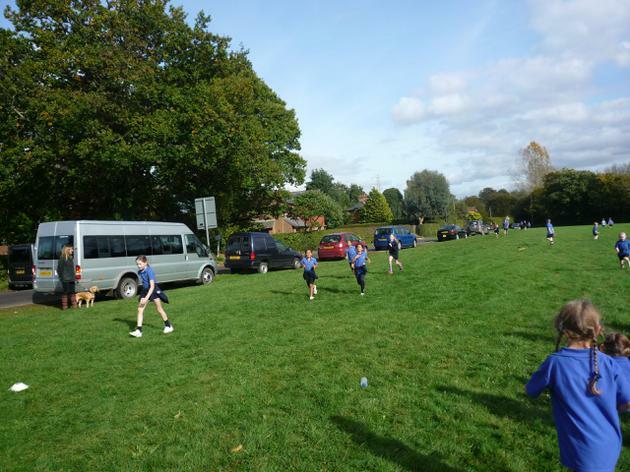 Well done all Lockerley runners. 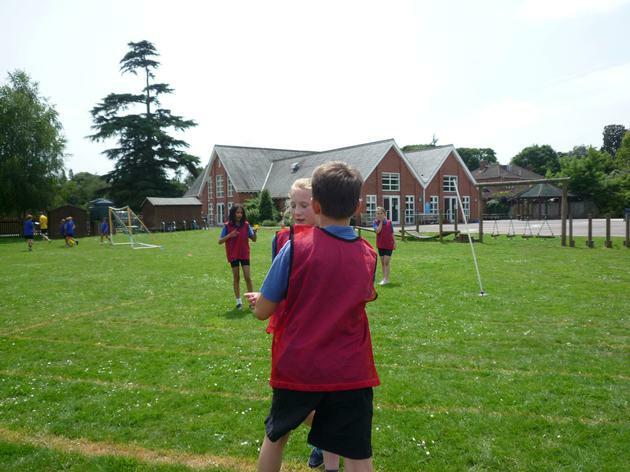 The house and medal winners will be announced in celebration assembly next week.